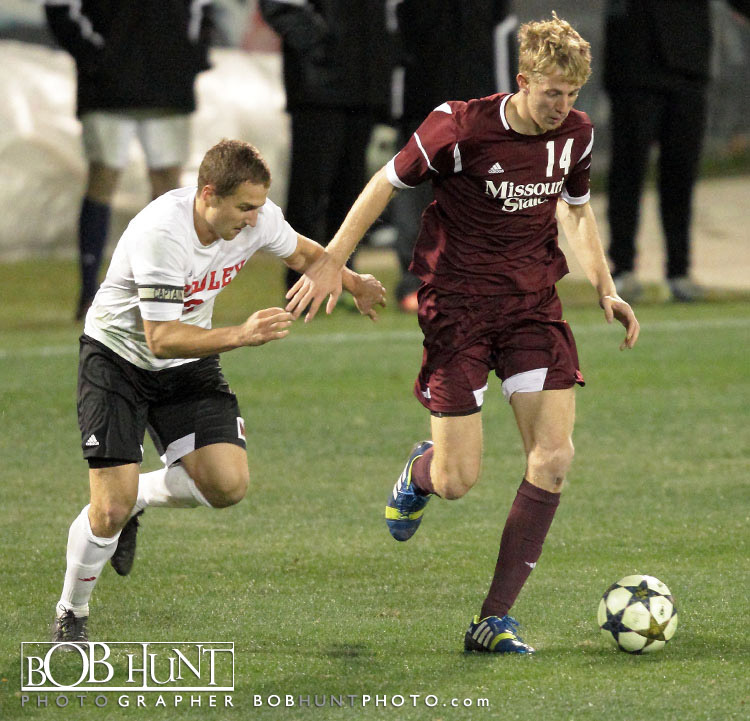 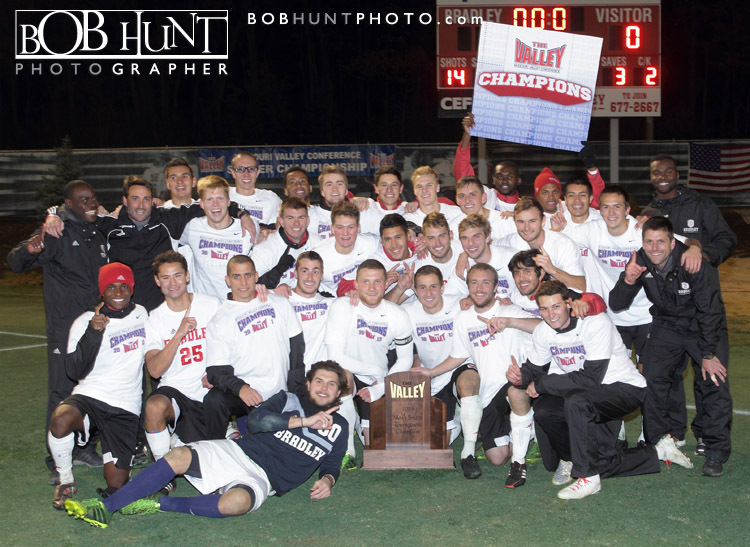 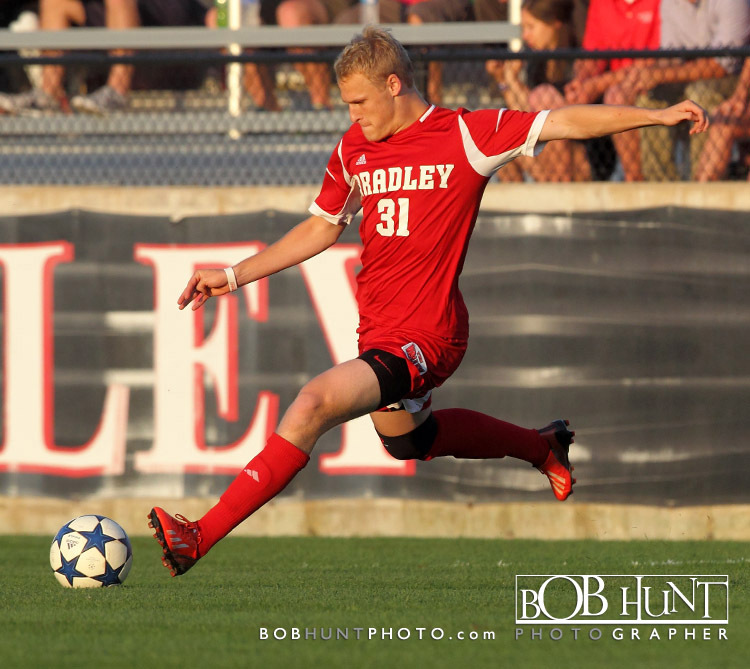 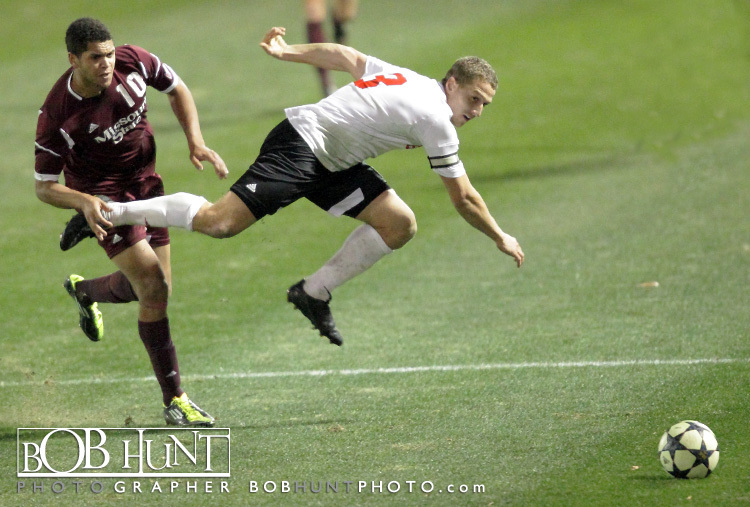 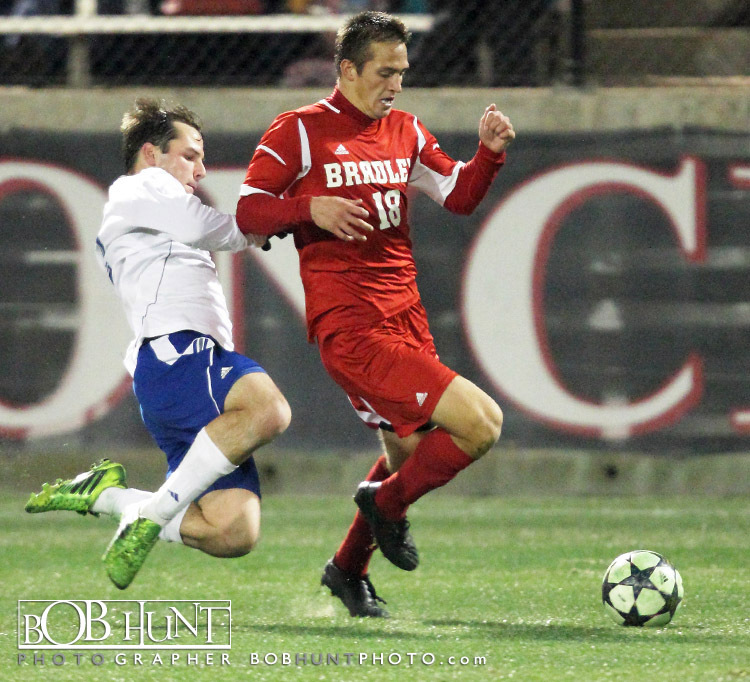 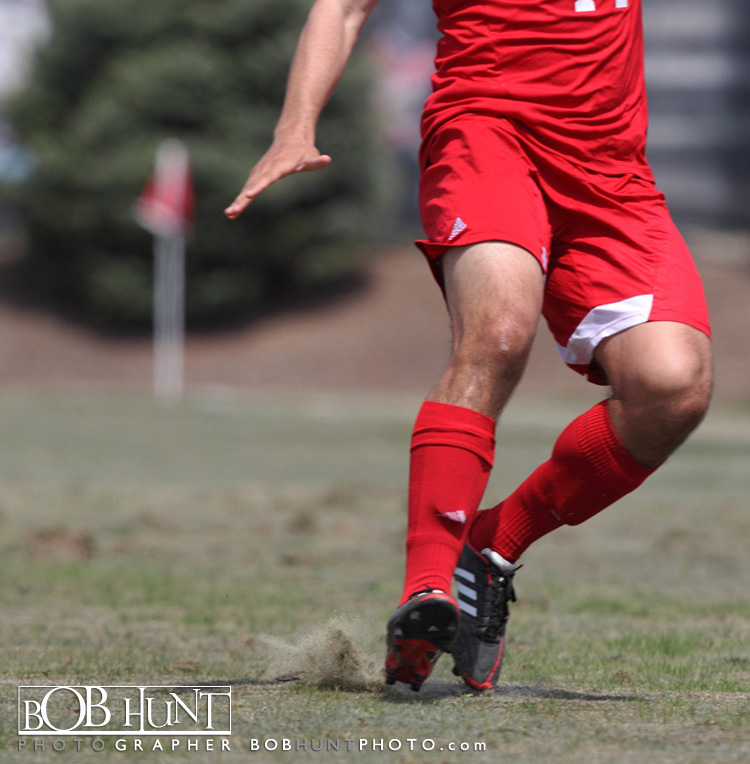 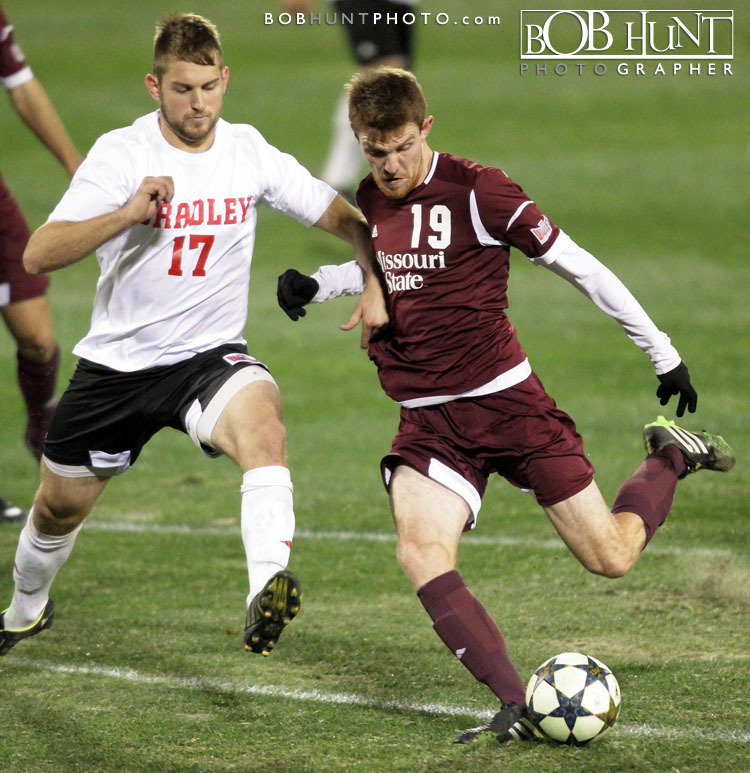 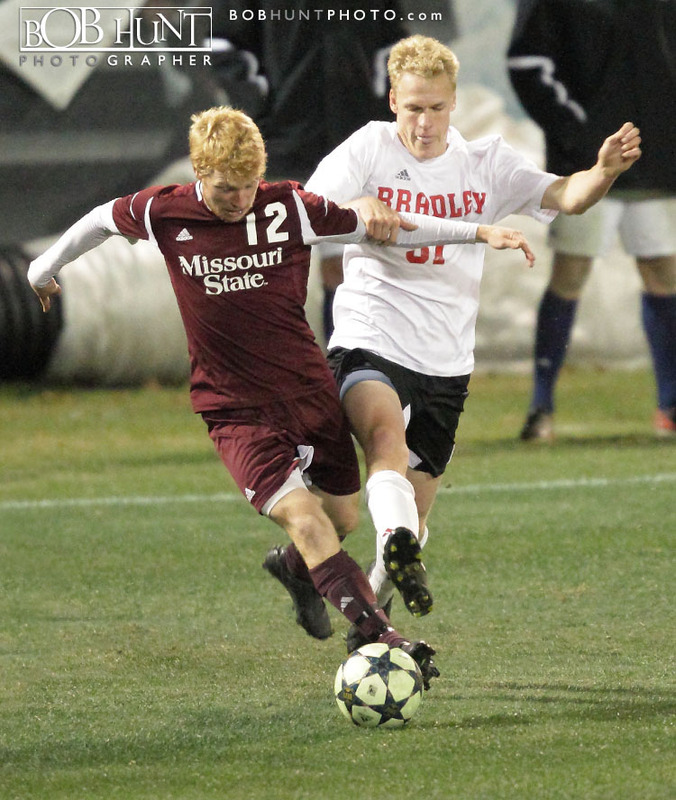 Junior midfielder Cody Lofgren scored his second game-winning goal in as many games, leading third-seeded and host Bradley University (12-6-2) to a 3-0 victory versus second-seeded Drake University (8-8-4) in the semifinals of the 2013 Missouri Valley Conference Men’s Soccer Championship Friday night at Shea Stadium. 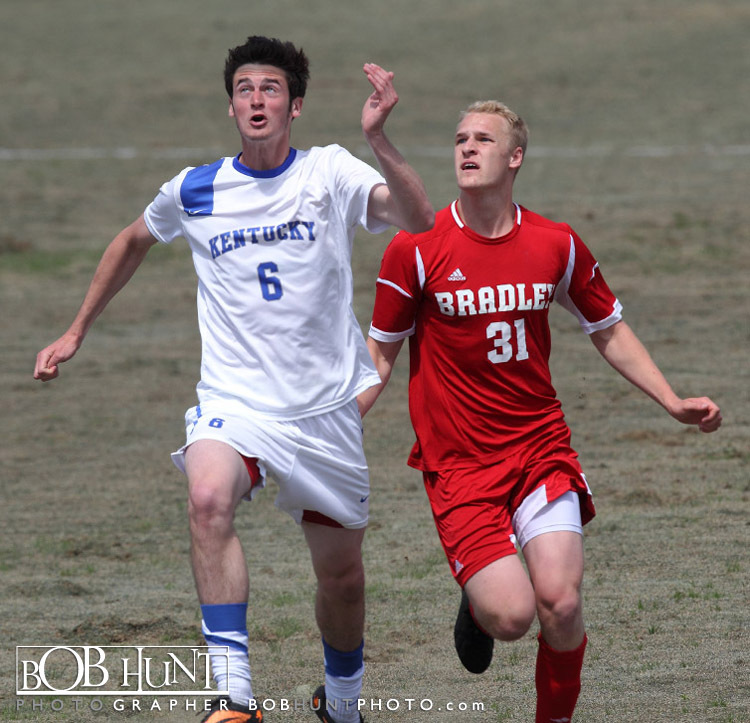 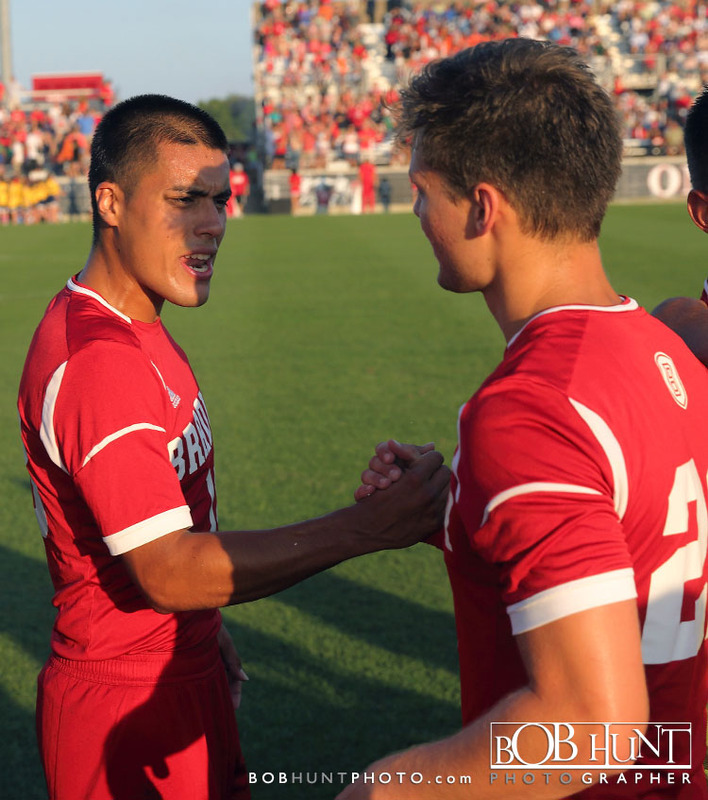 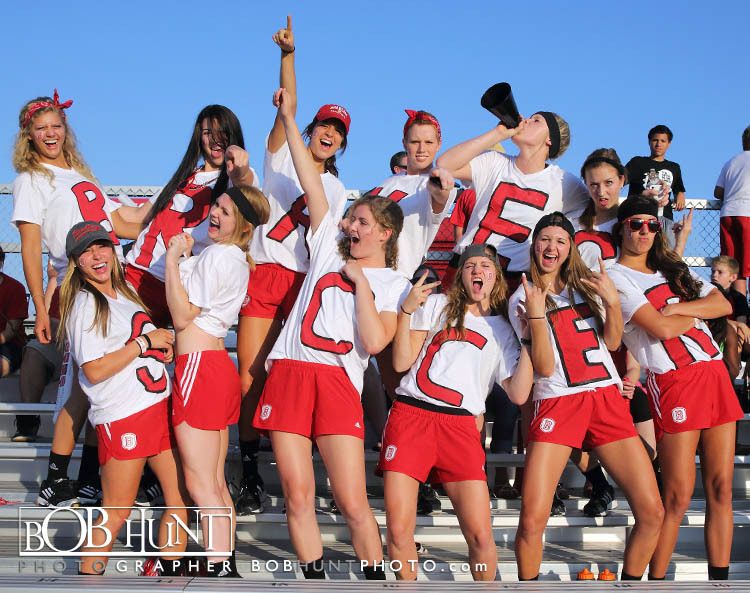 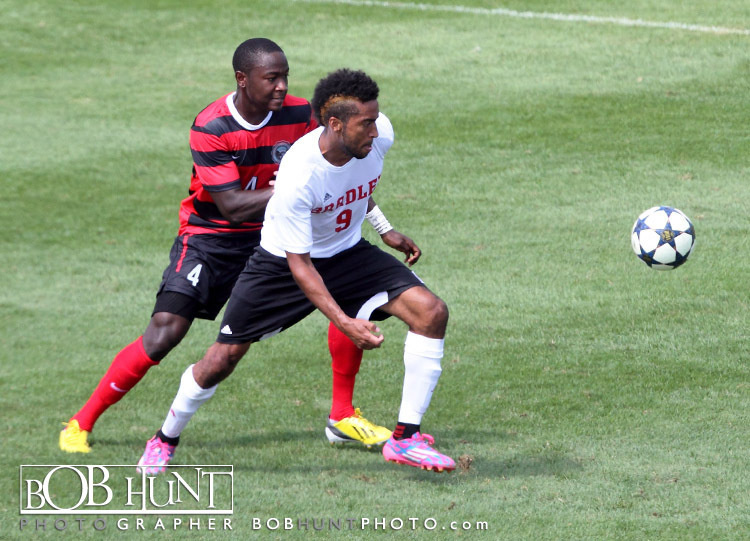 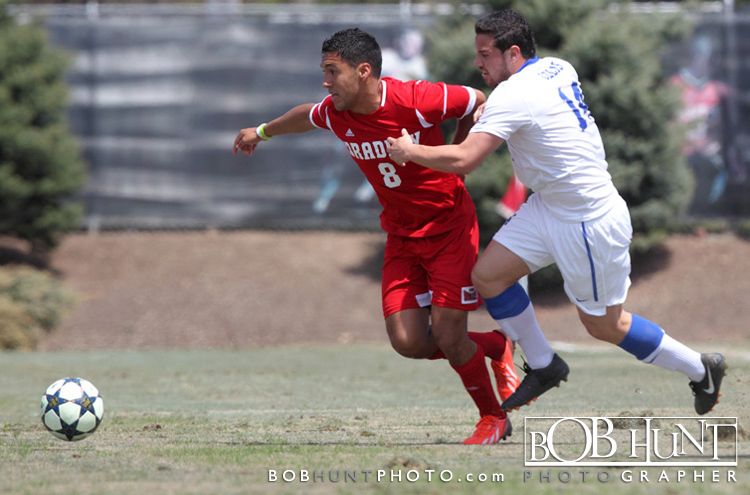 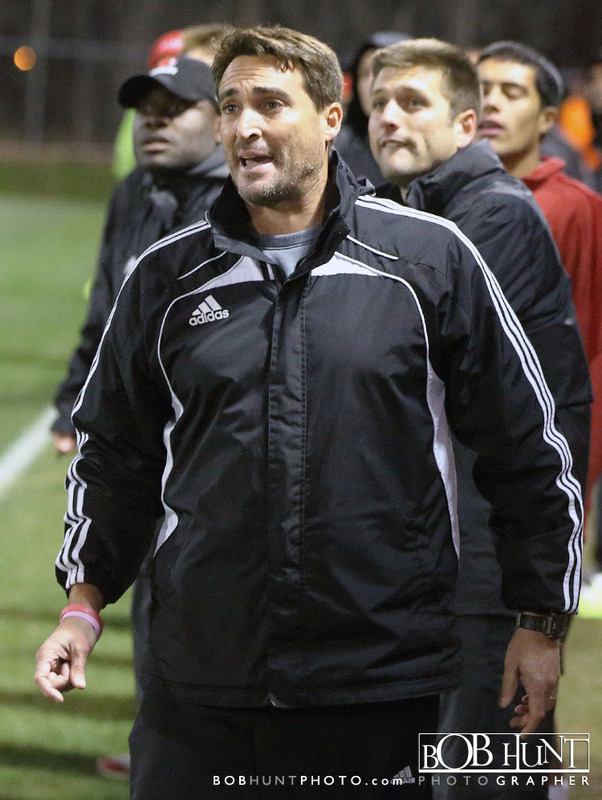 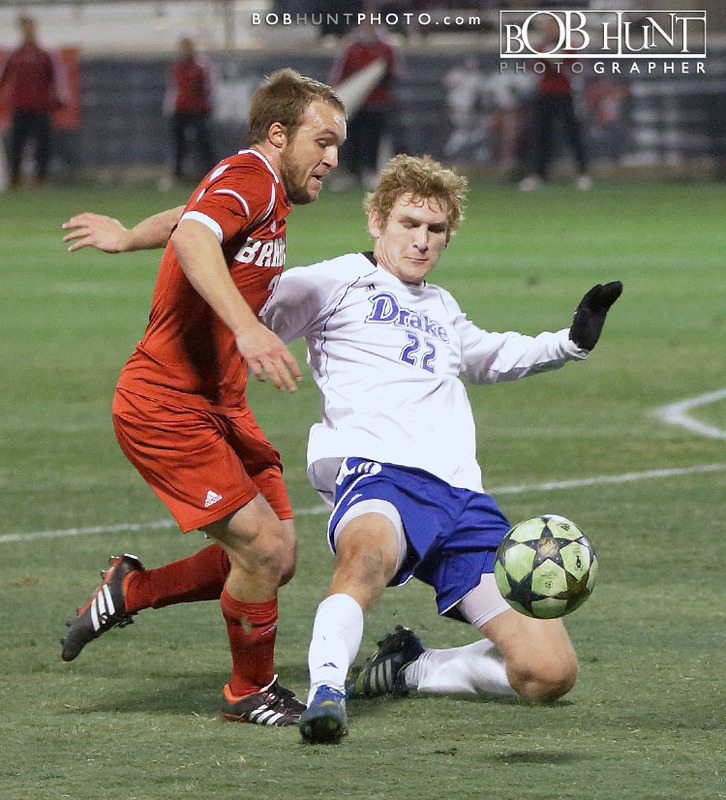 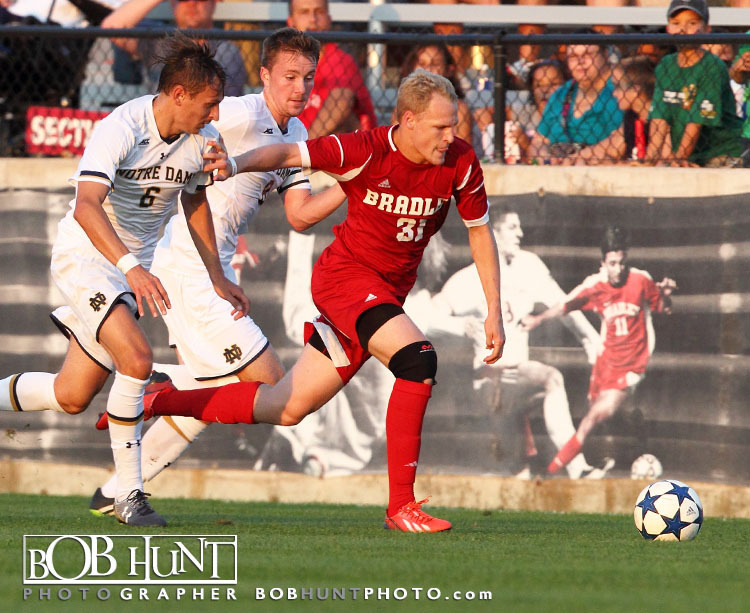 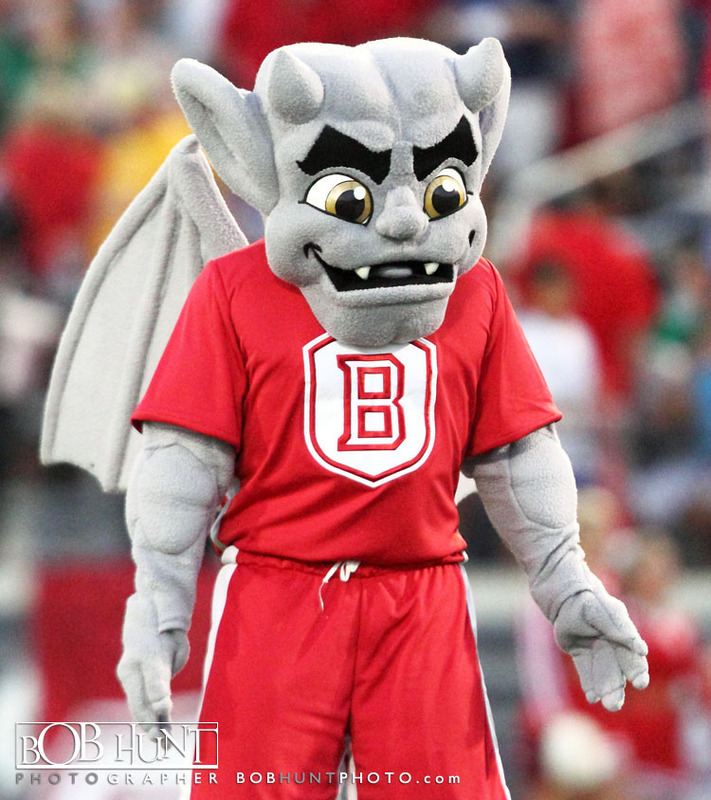 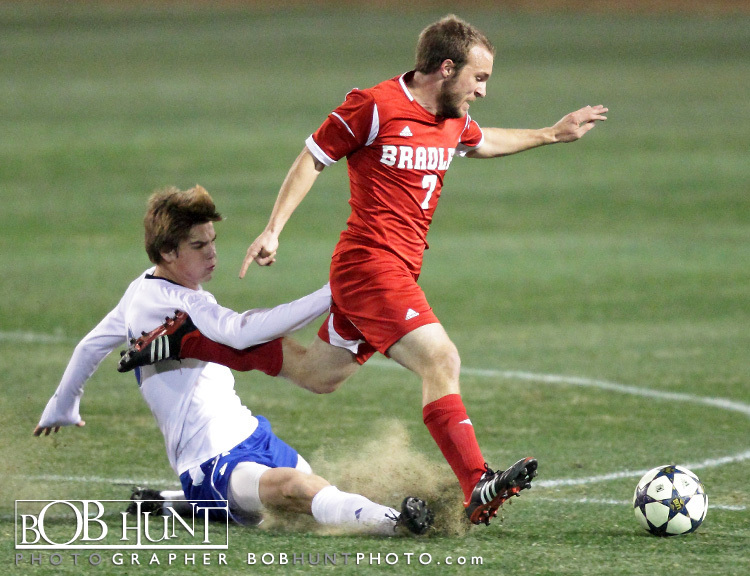 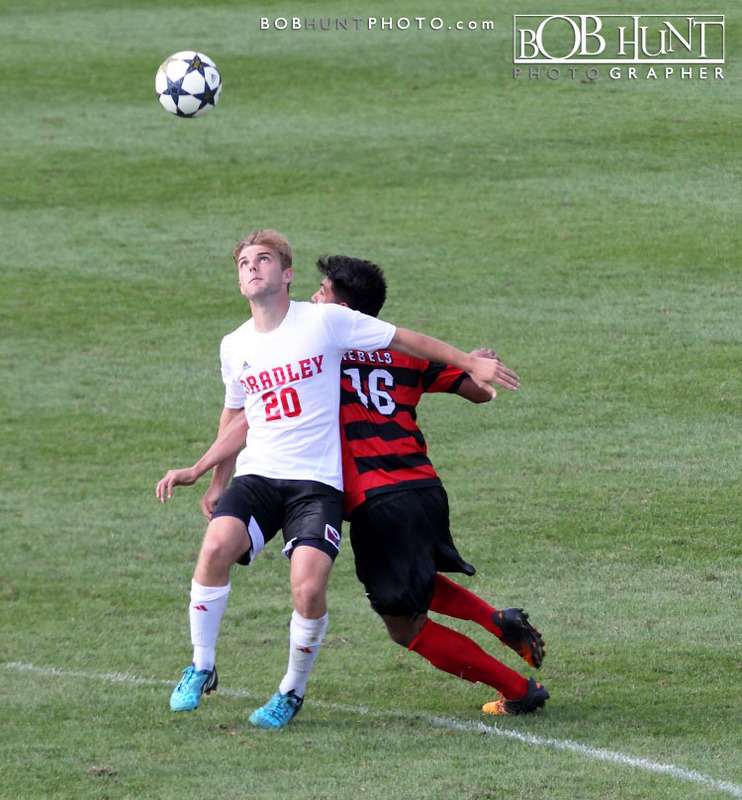 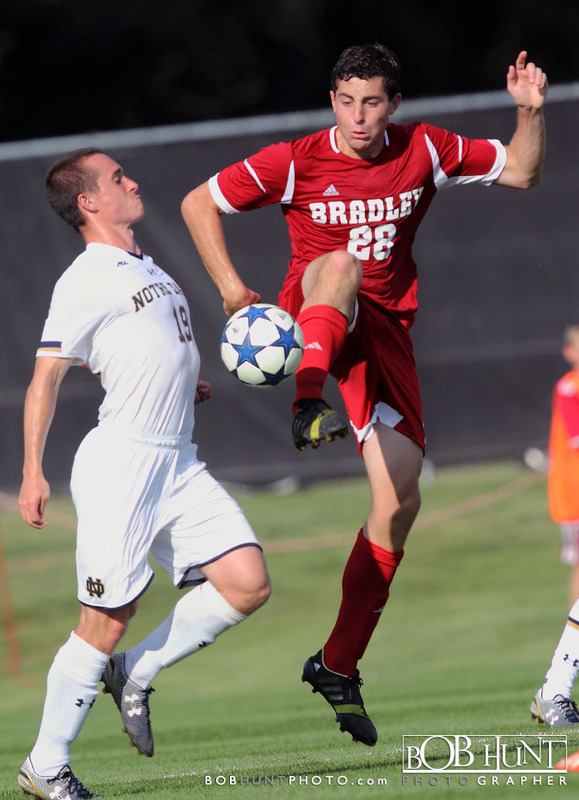 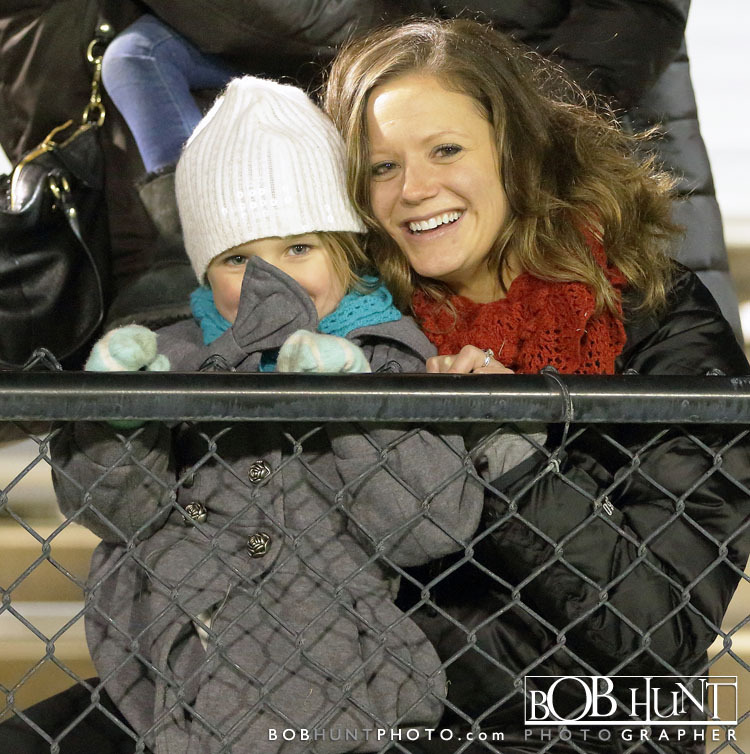 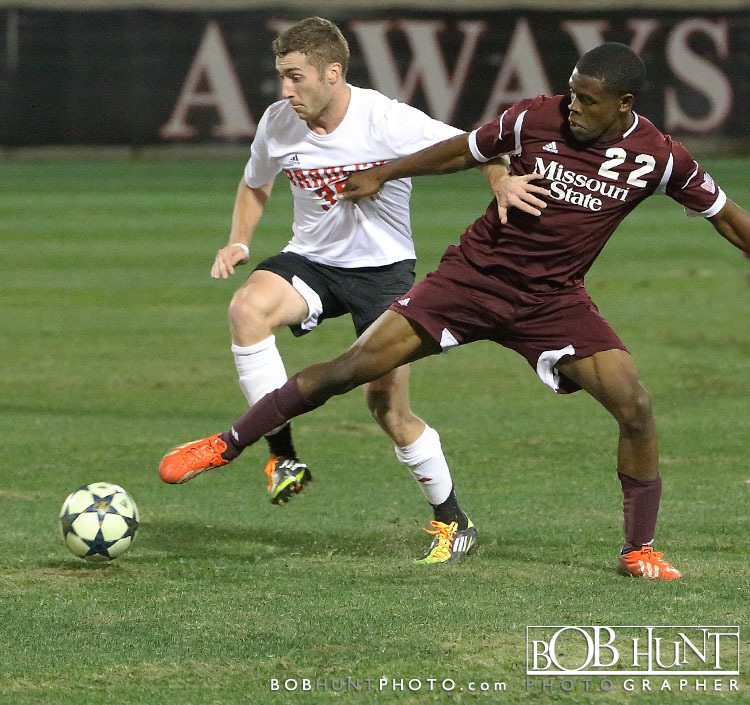 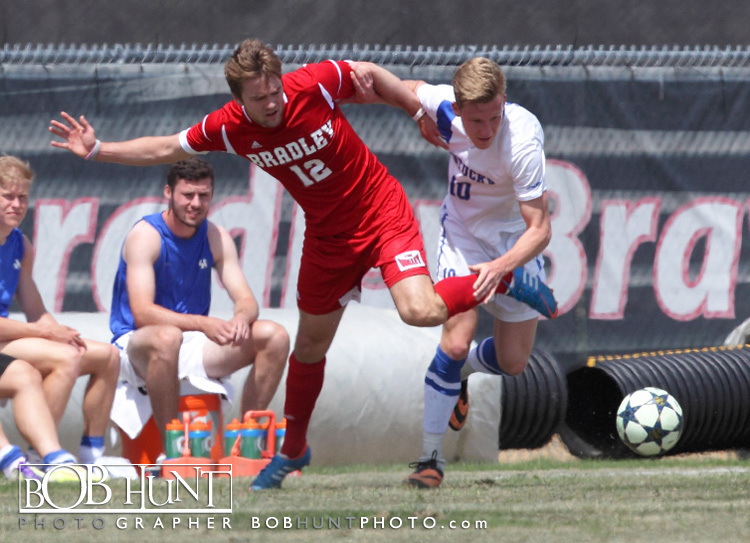 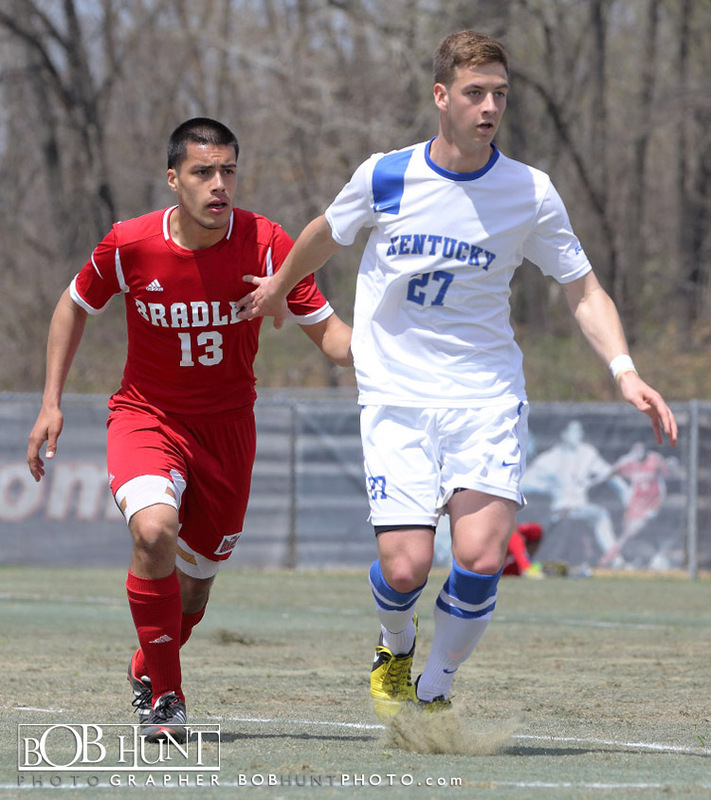 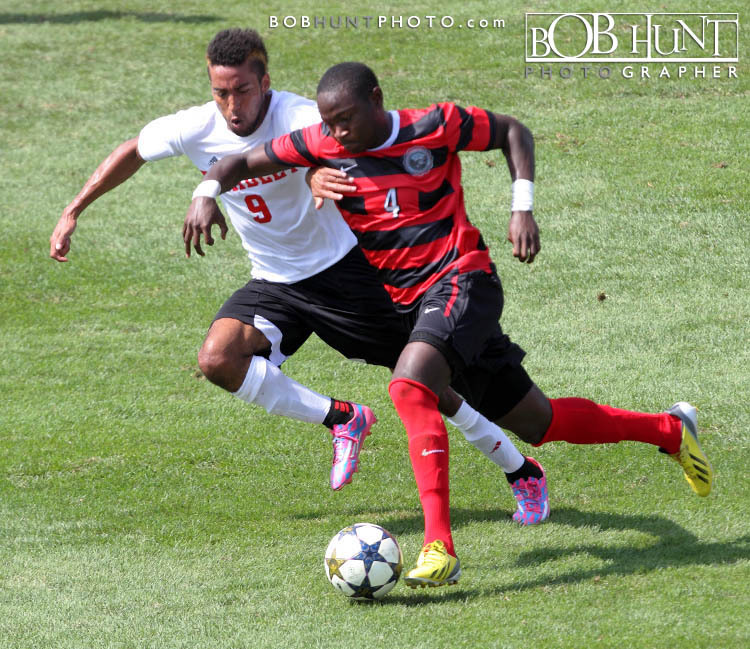 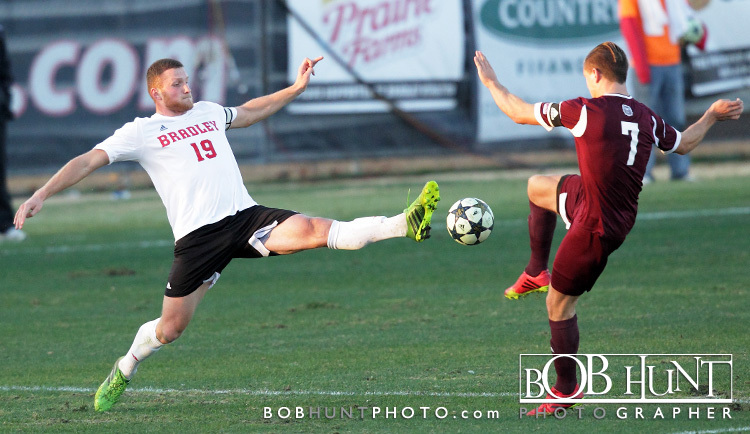 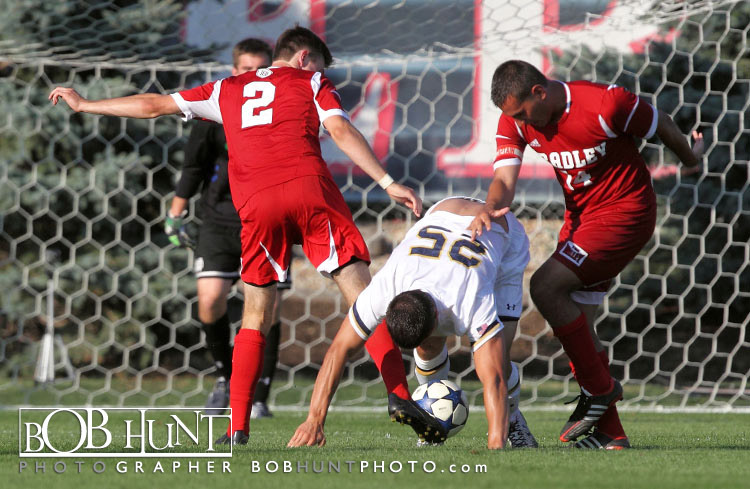 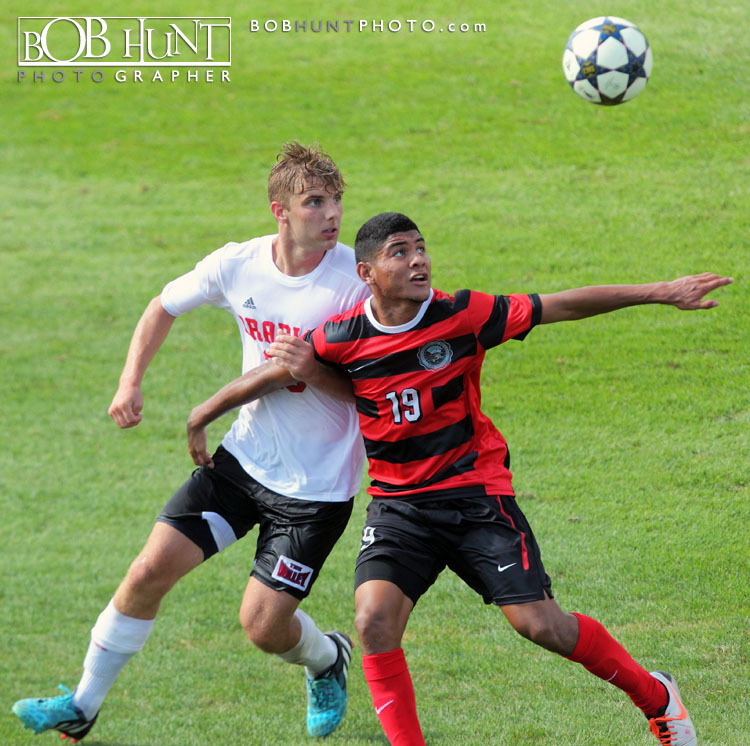 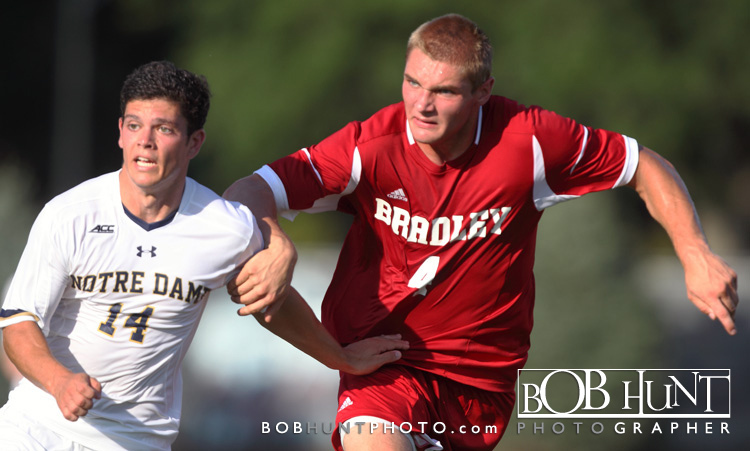 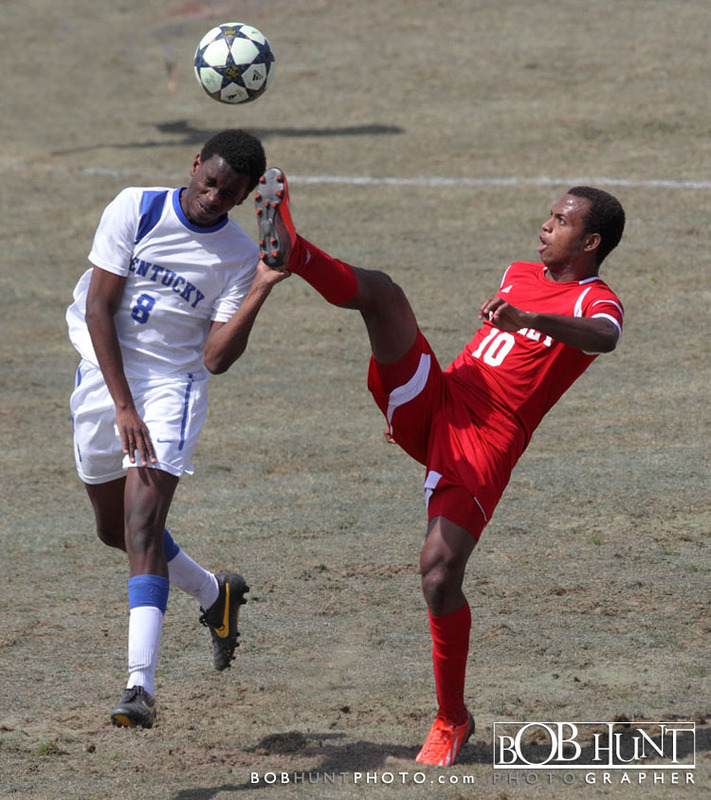 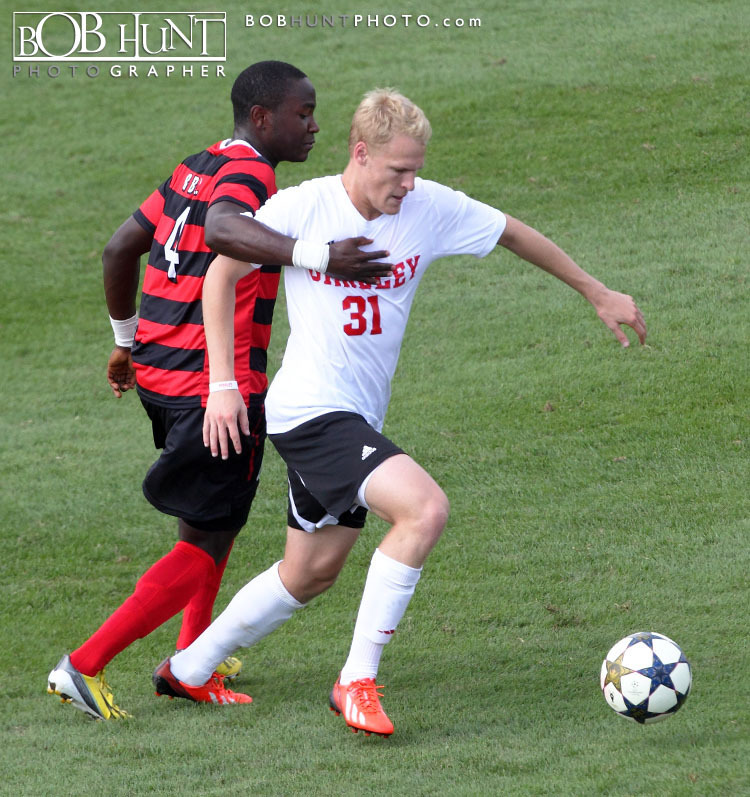 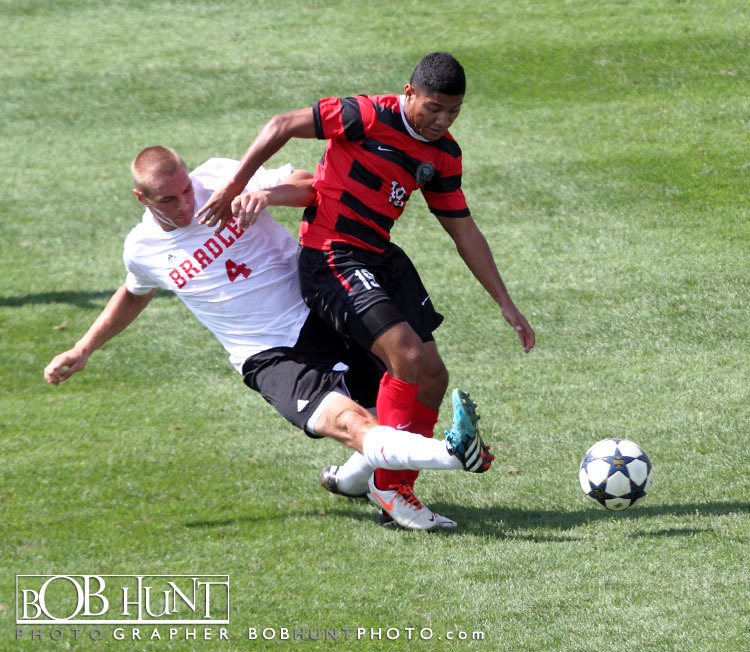 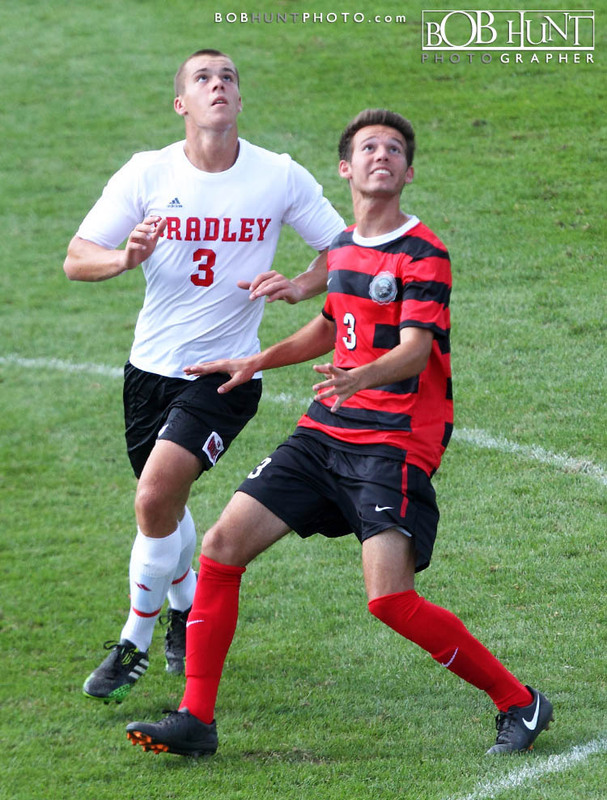 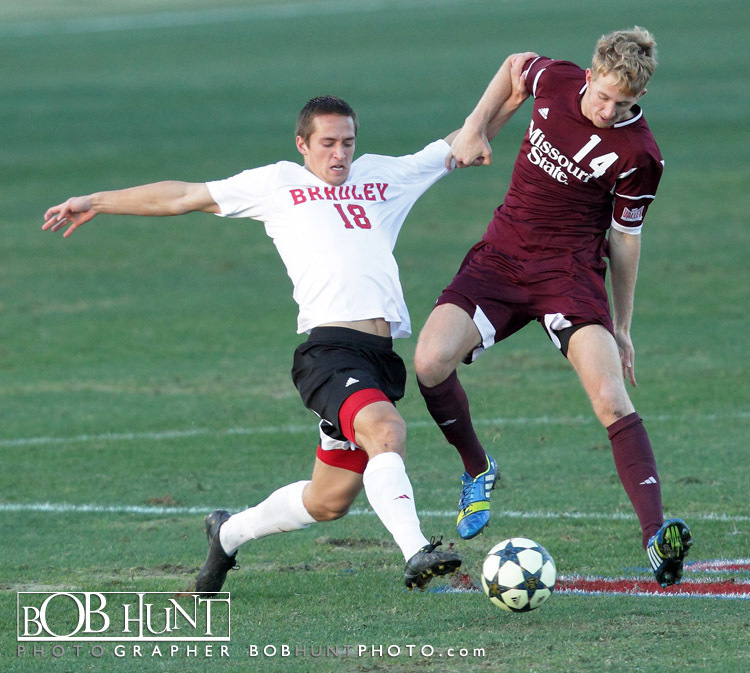 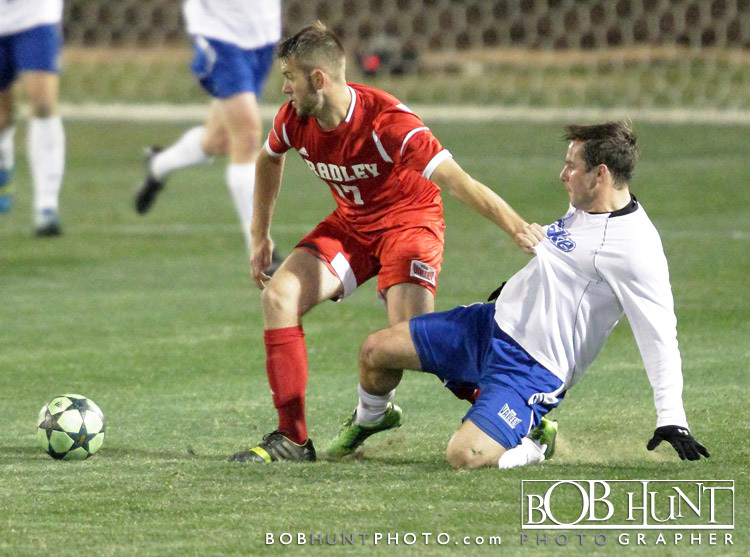 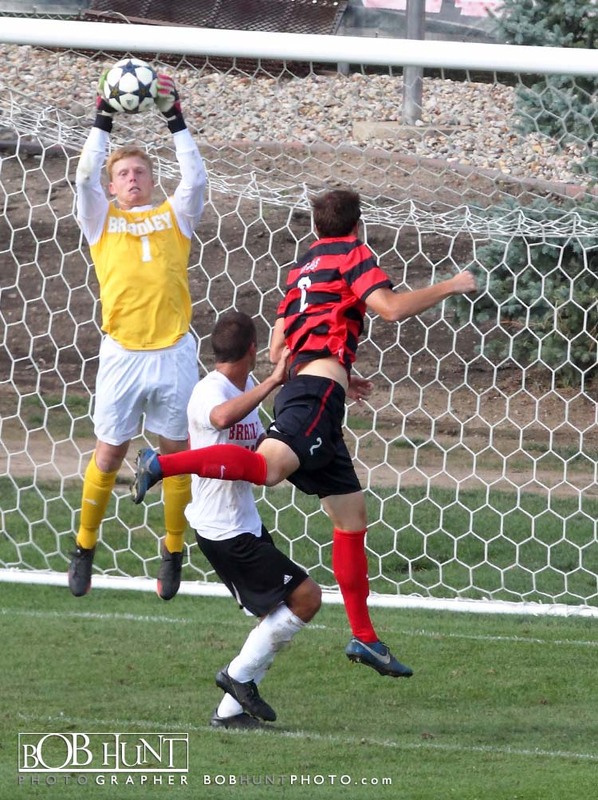 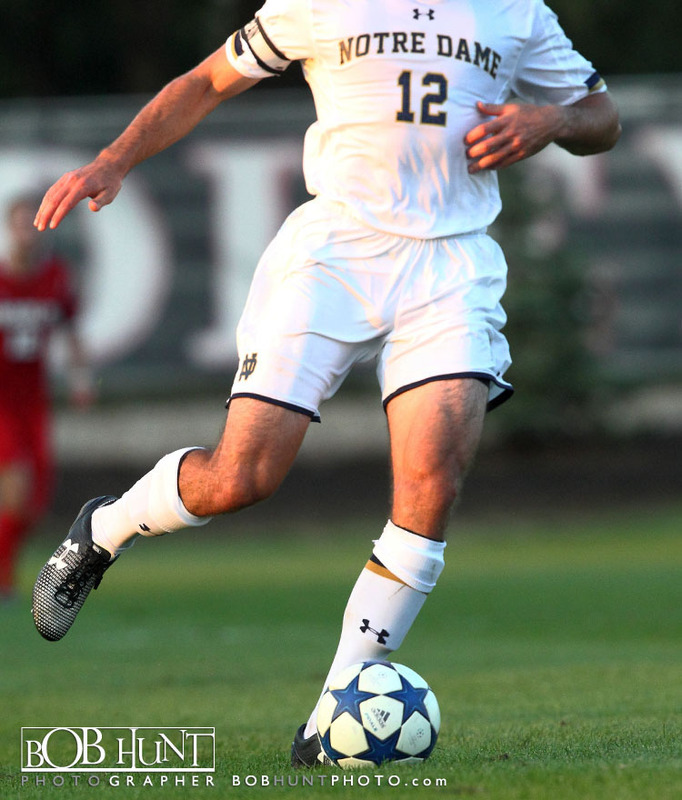 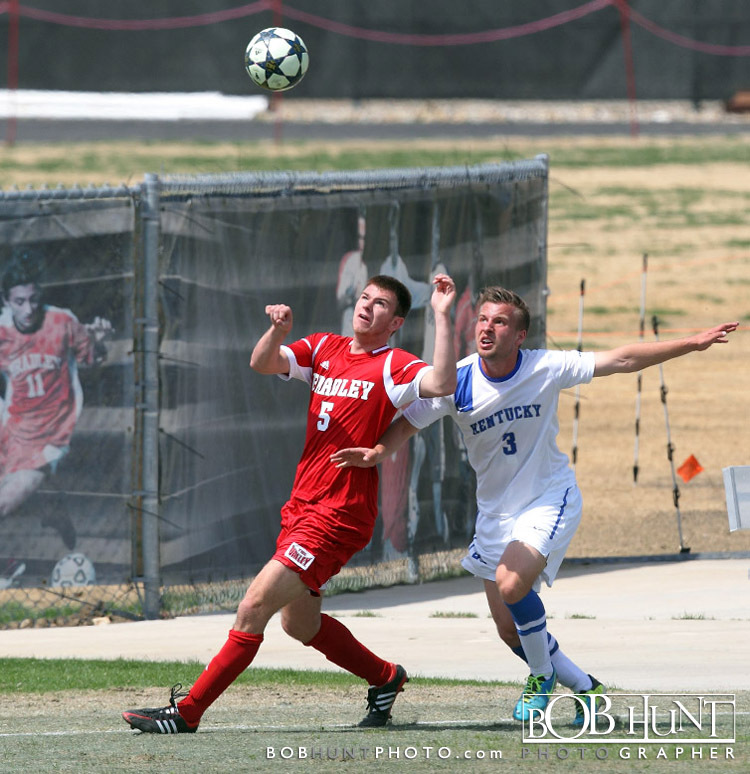 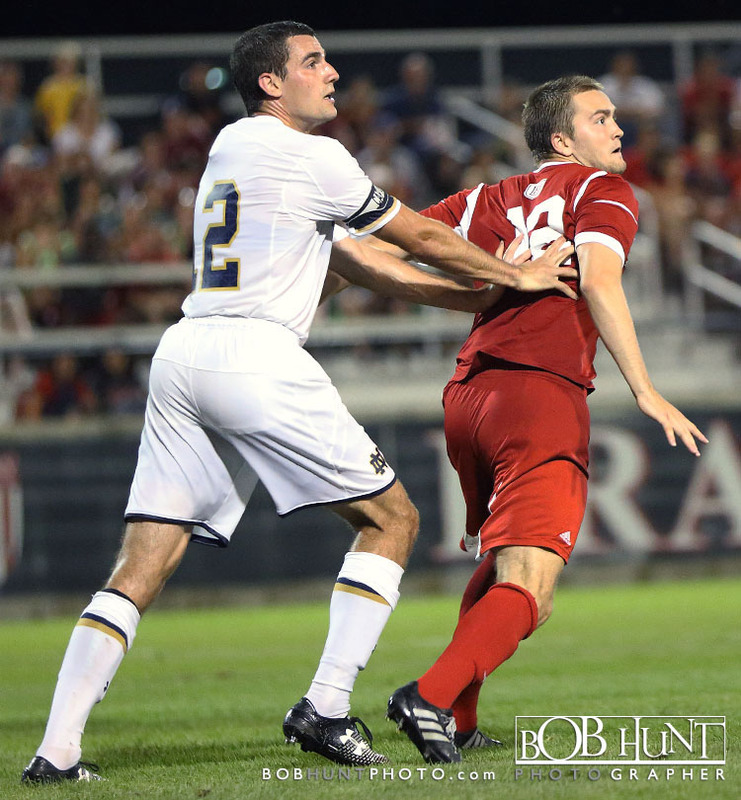 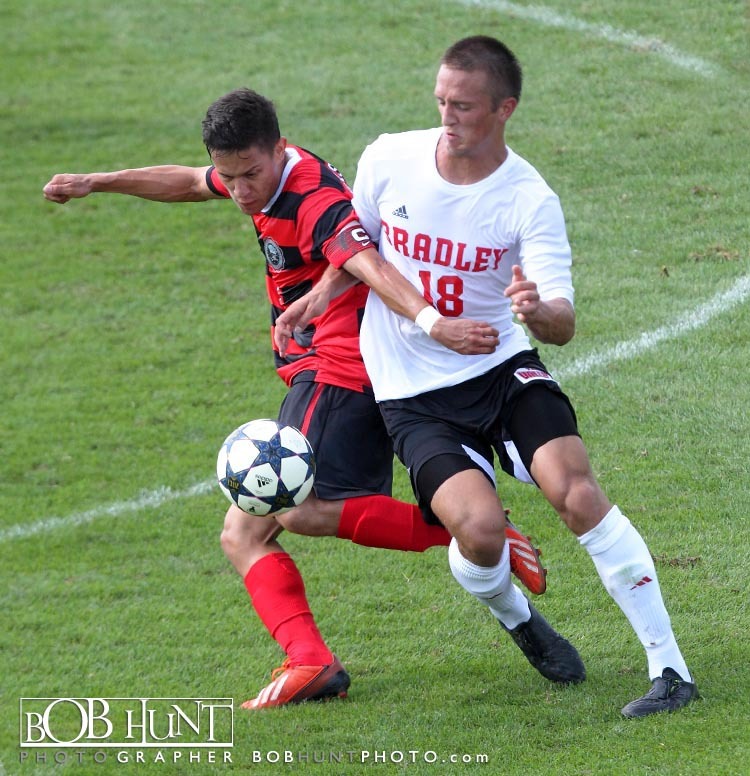 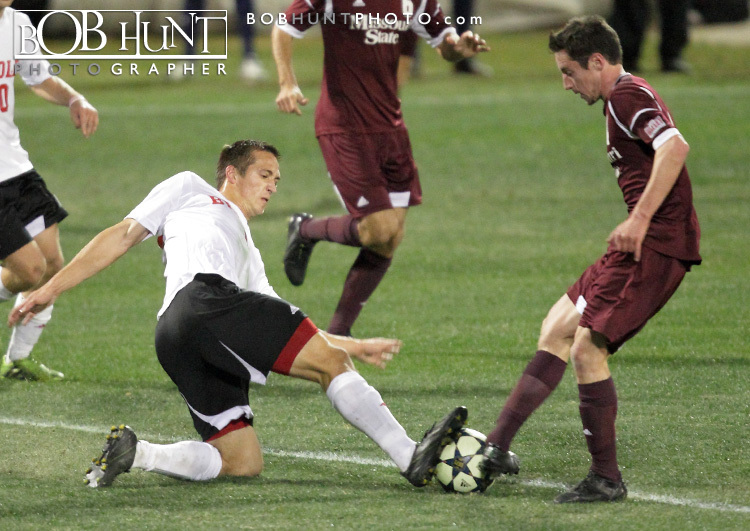 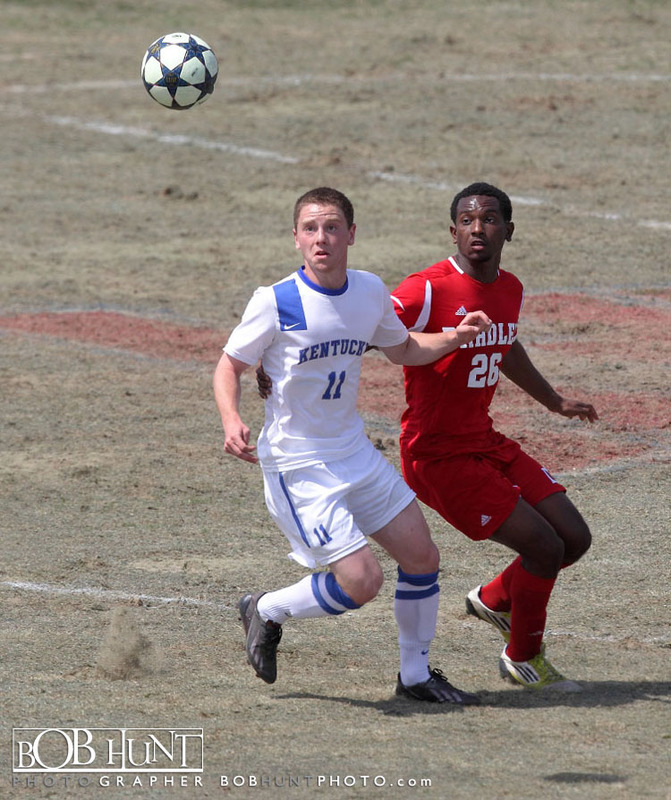 Lofgren also set up Bradley’s second goal less than four minutes later when a Bulldog defender was called for a hand ball in the penalty area while attempting to block a Lofgren breakaway shot. 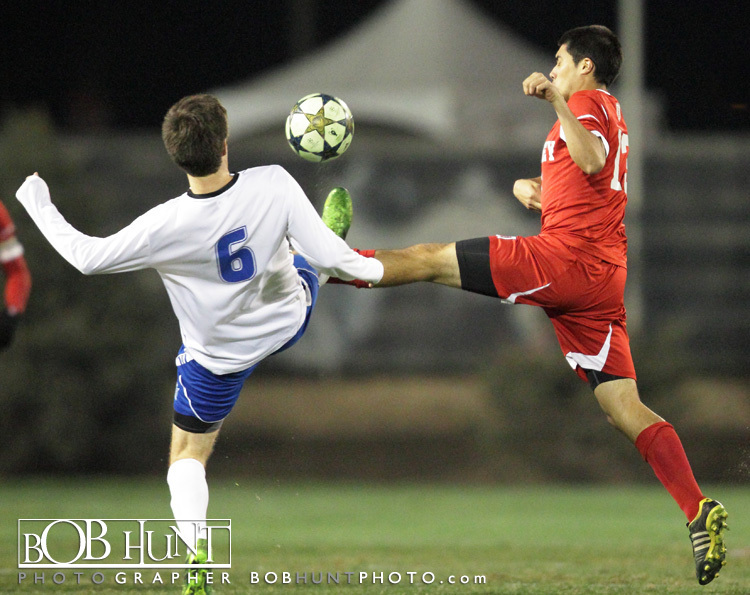 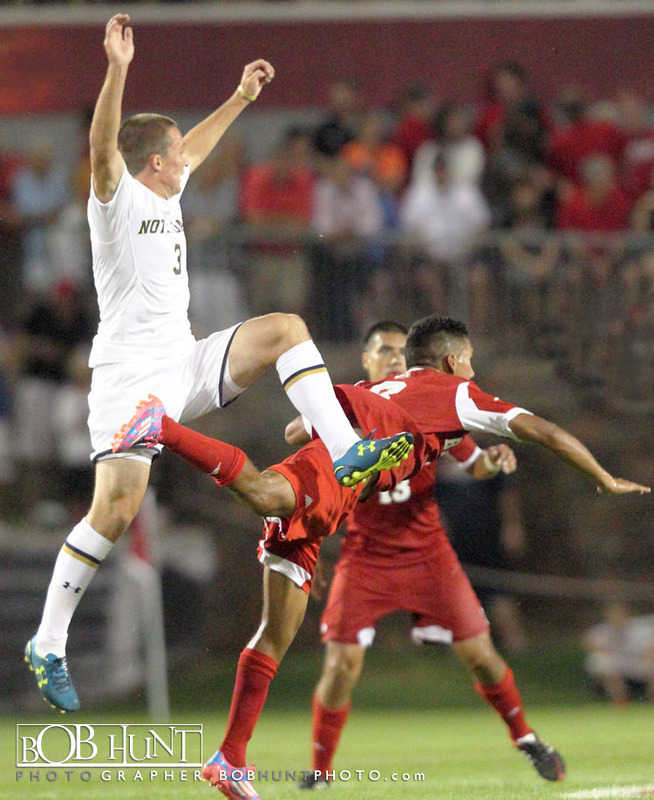 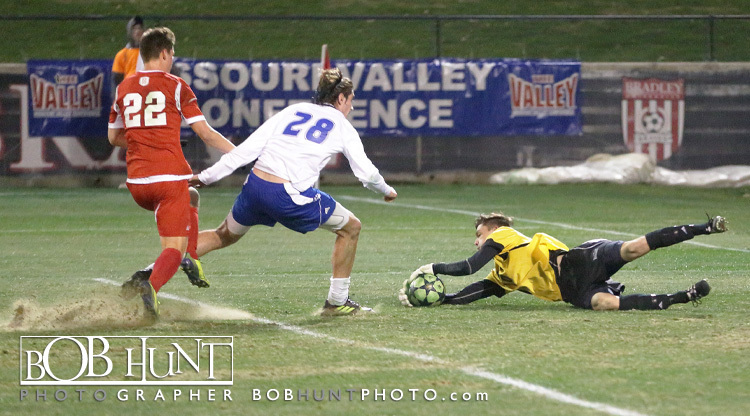 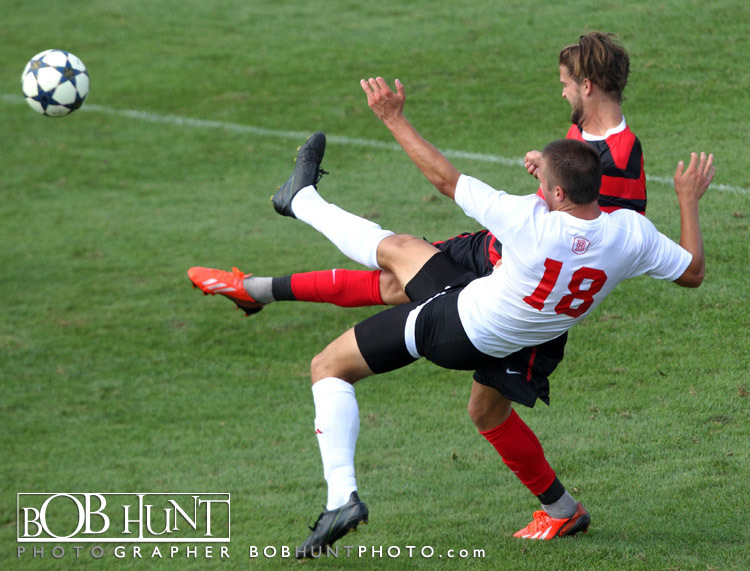 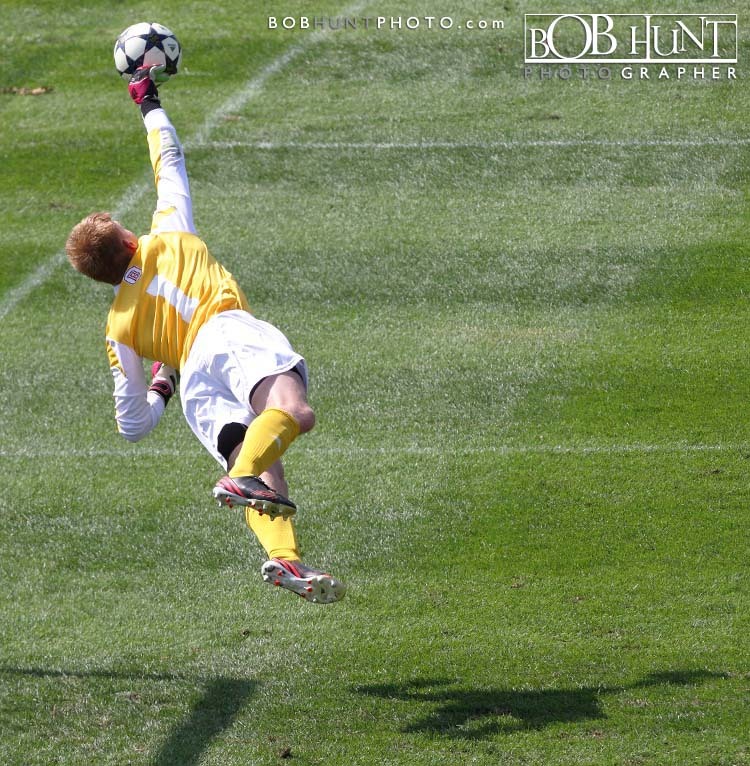 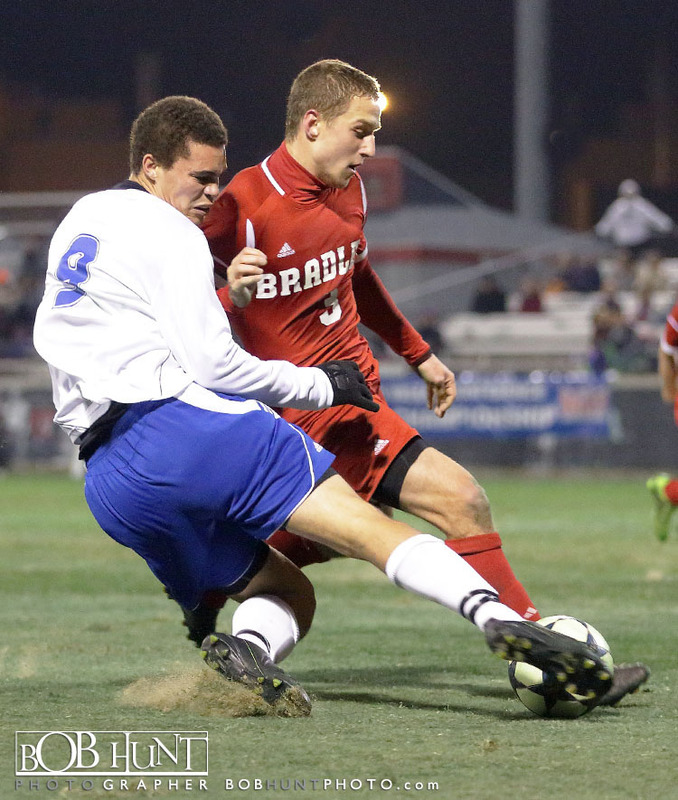 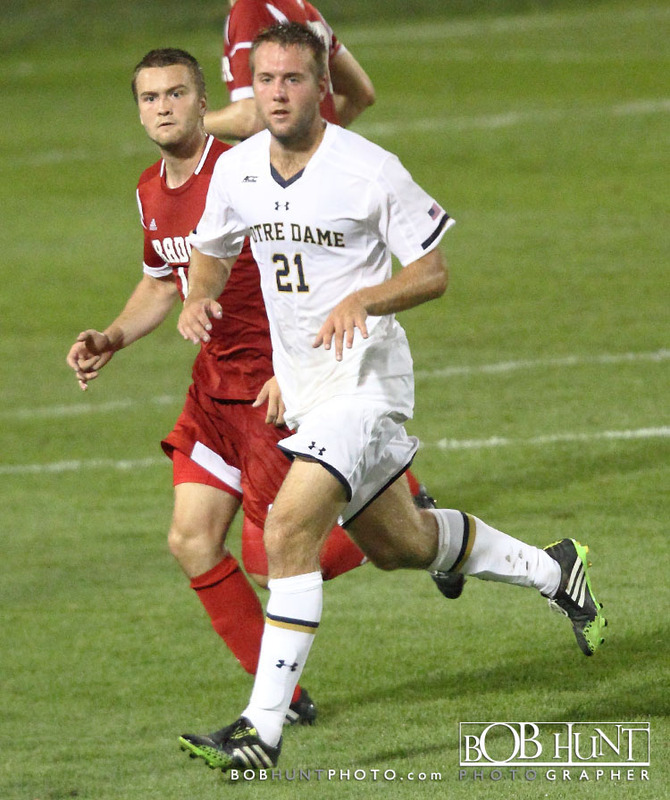 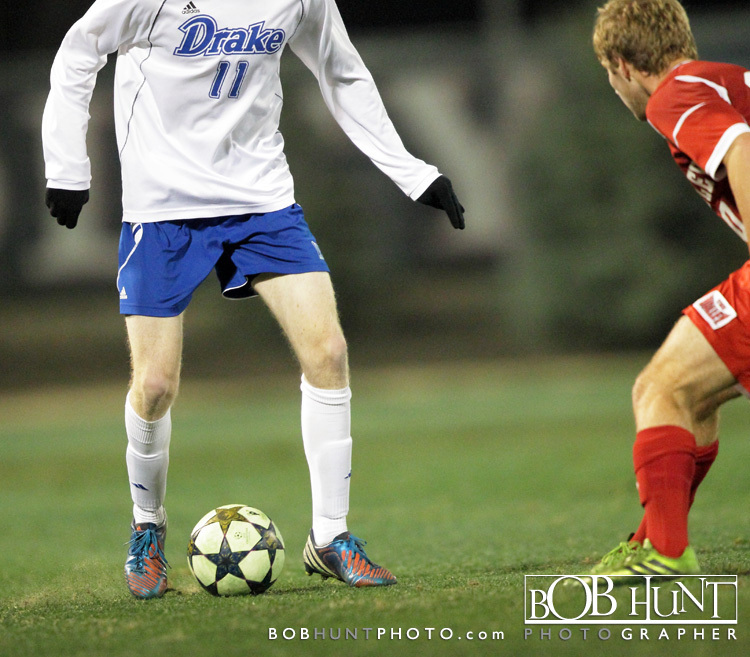 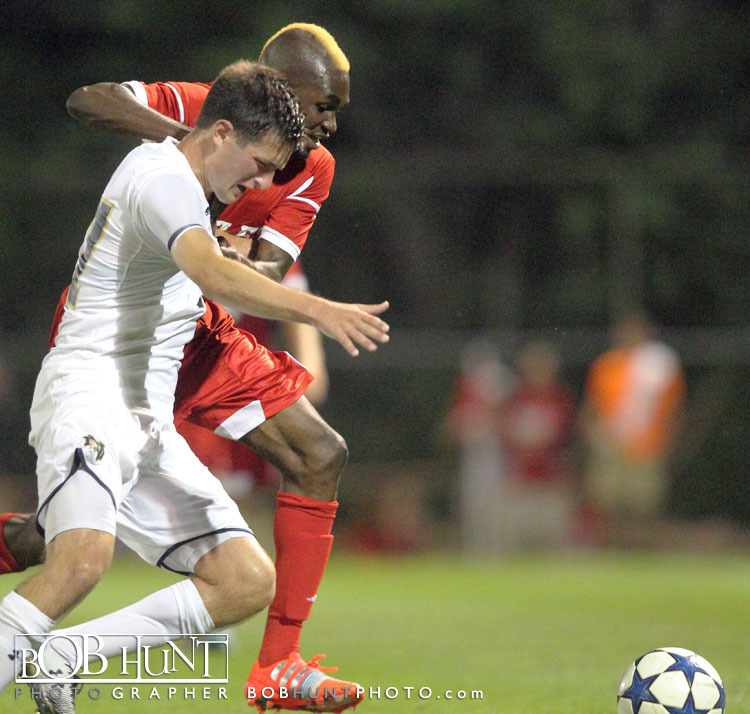 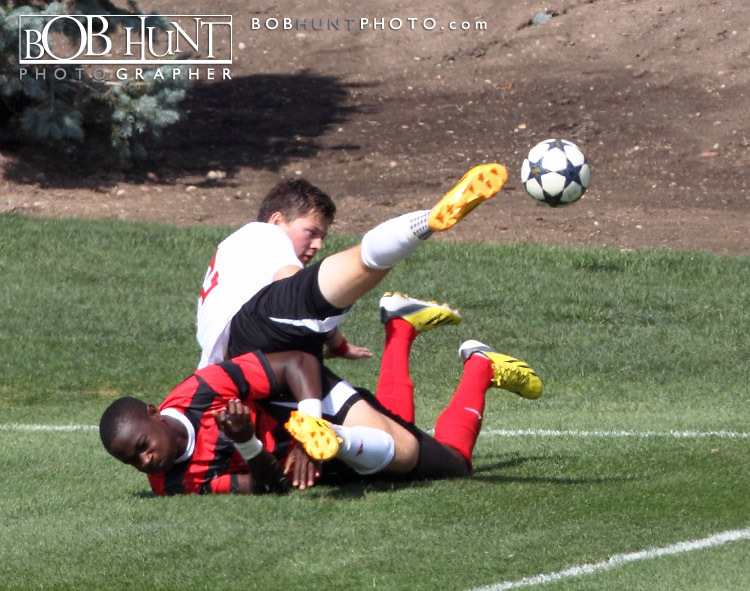 Junior defender Zach Kovacevic buried the resulting penalty kick at 52:13 for his third goal of the year. 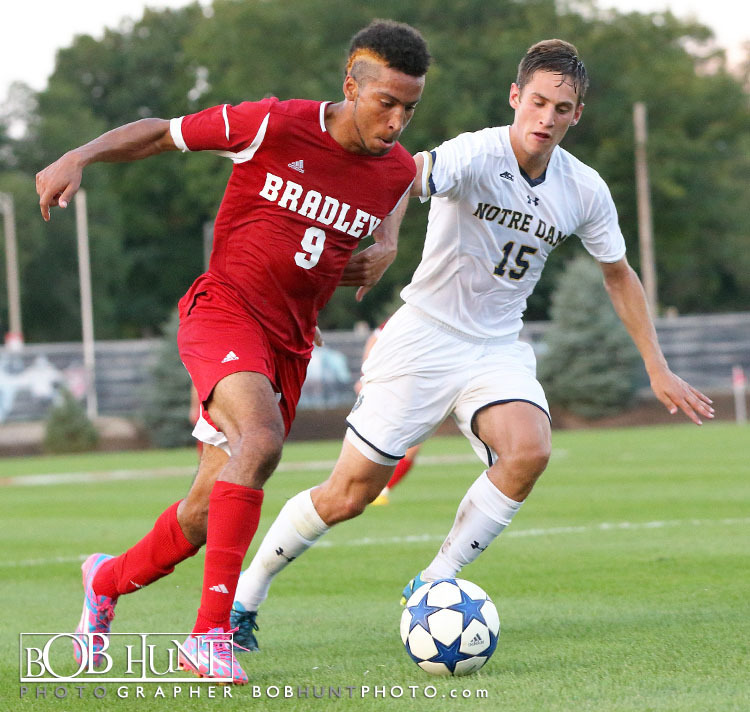 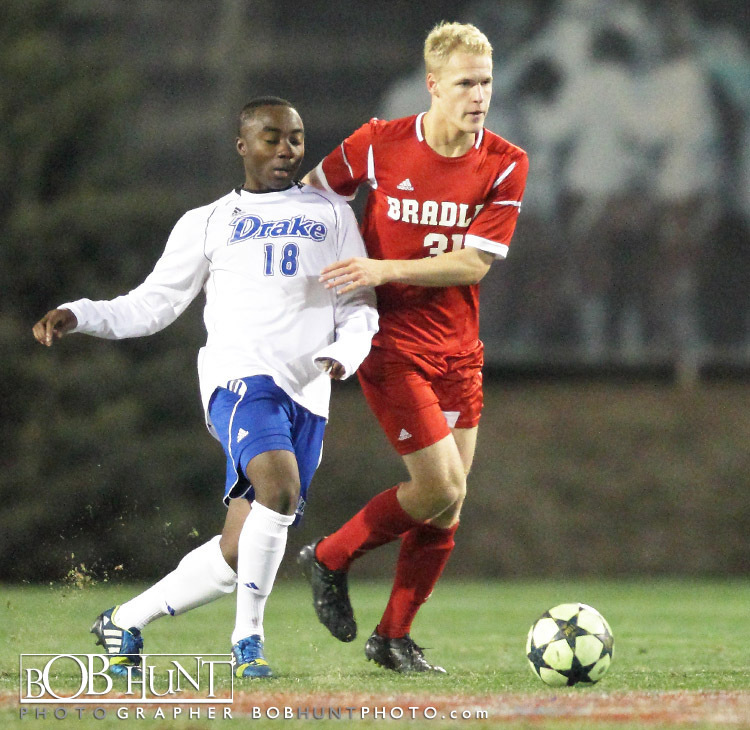 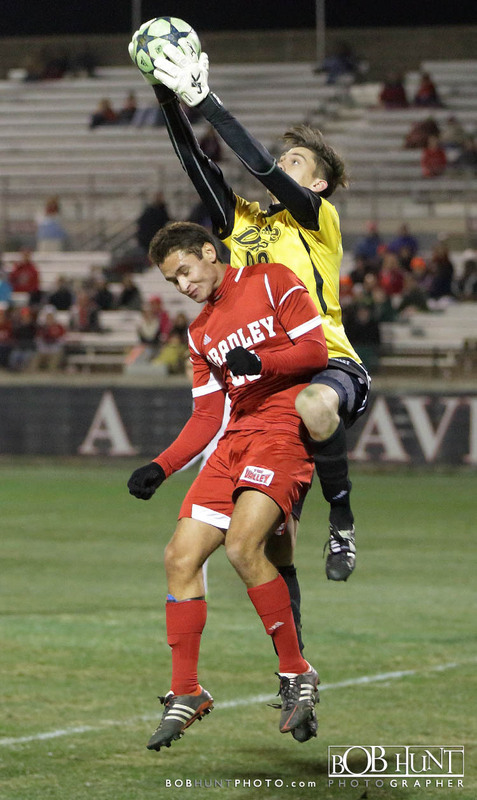 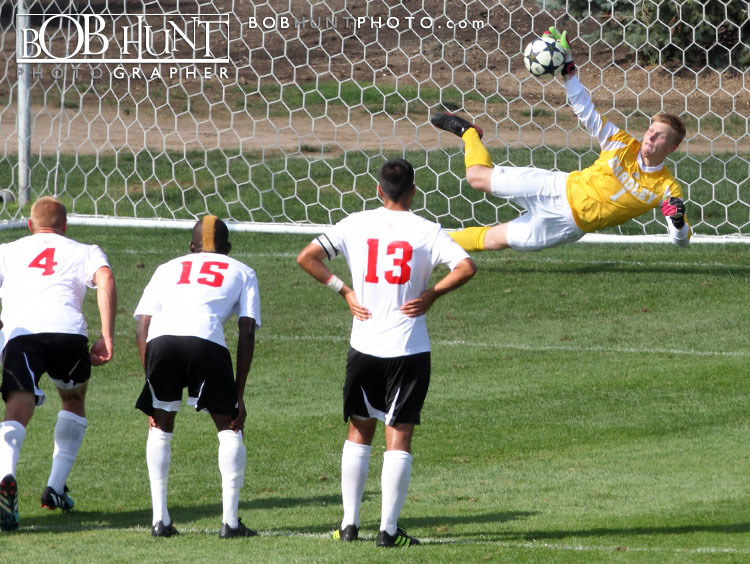 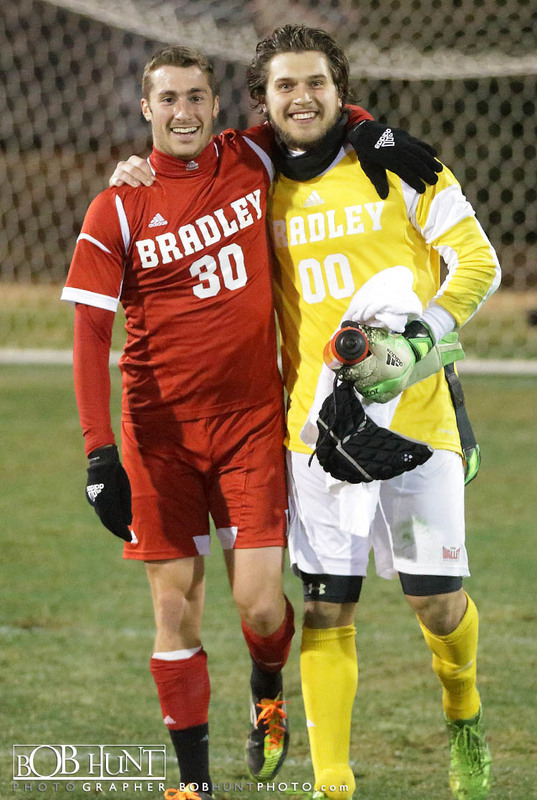 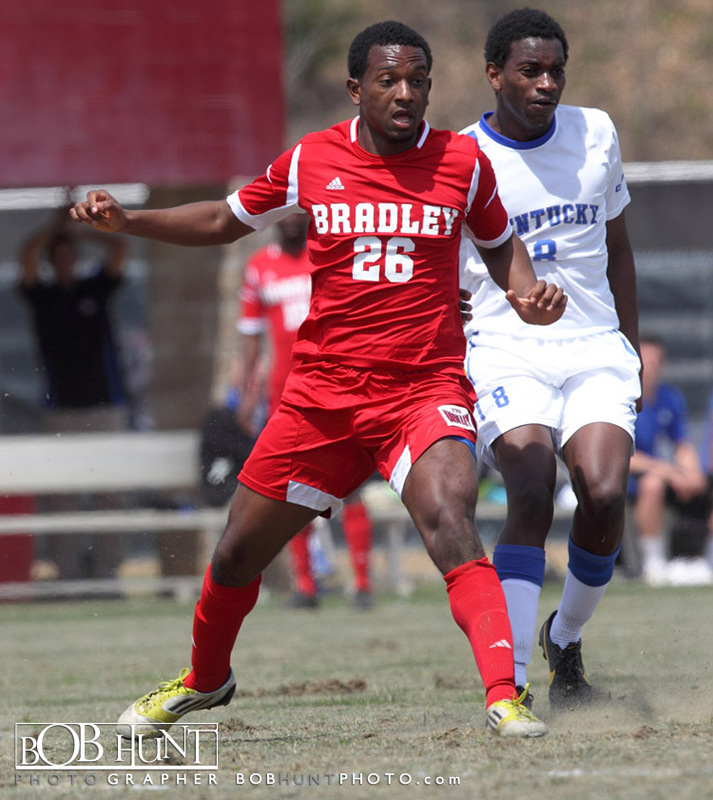 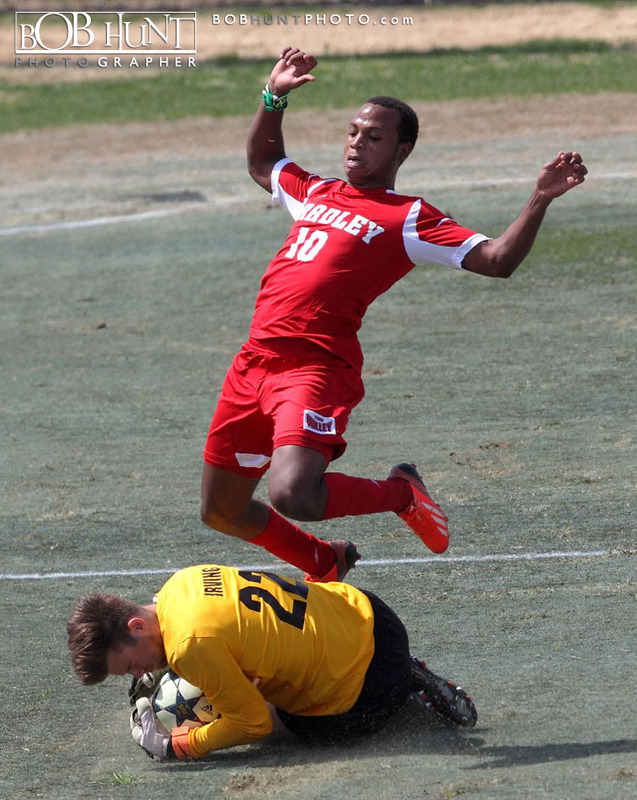 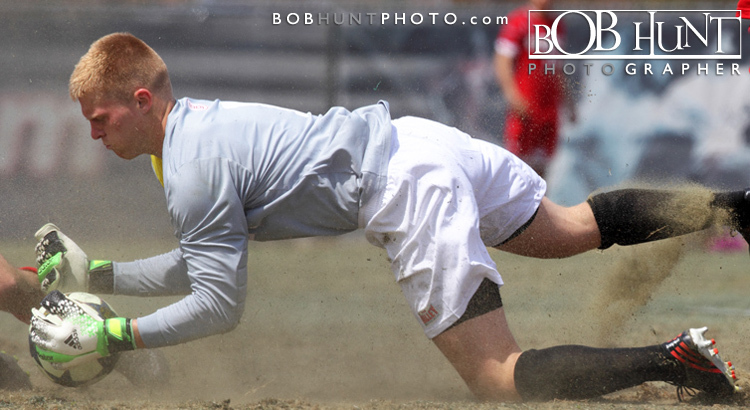 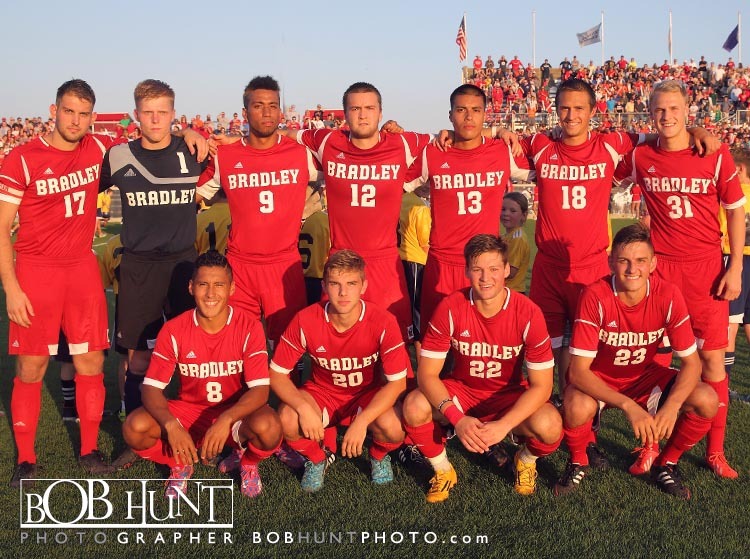 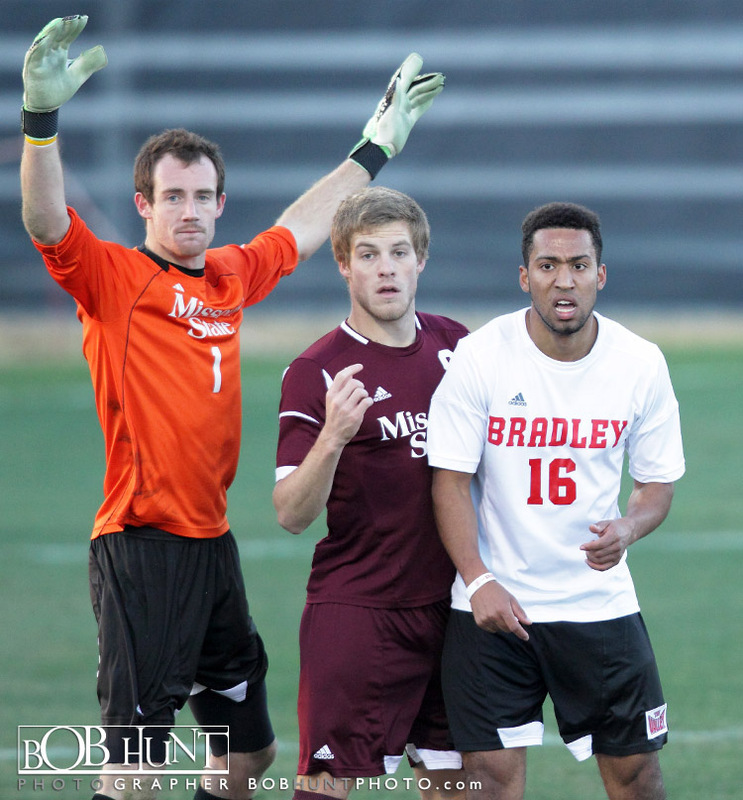 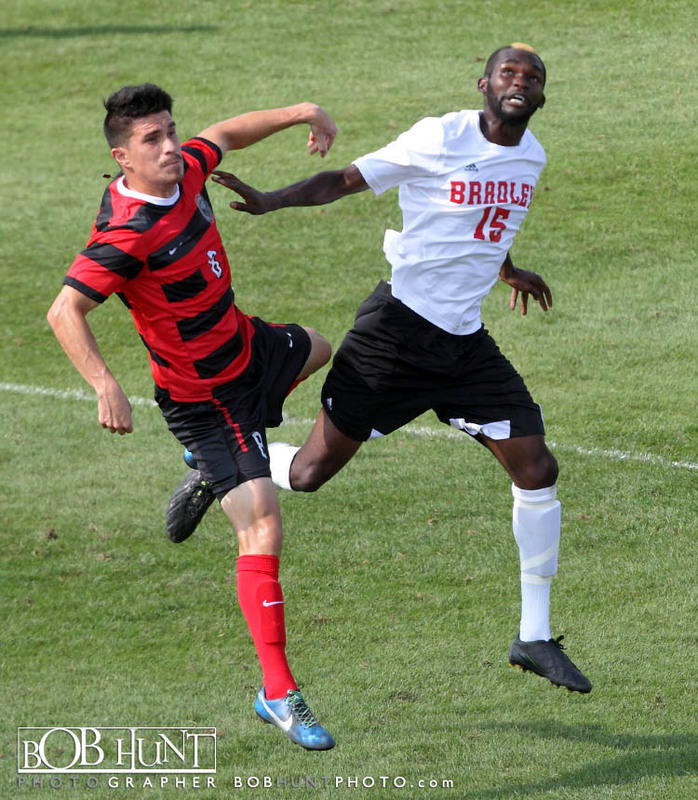 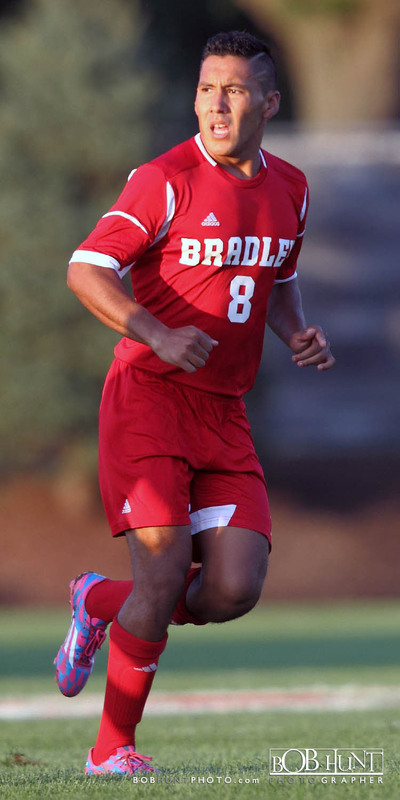 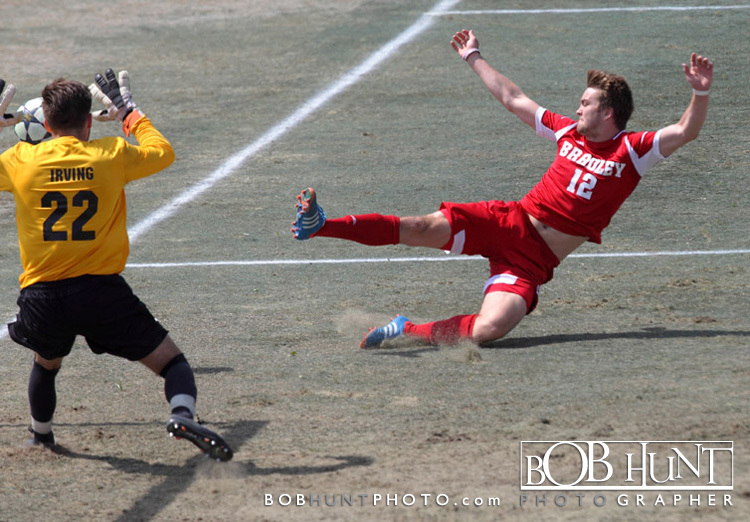 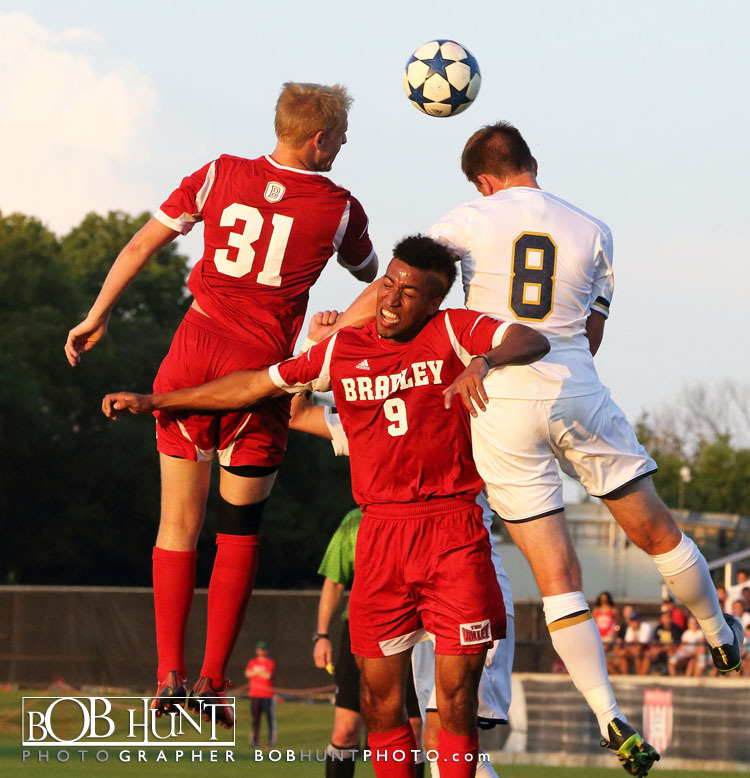 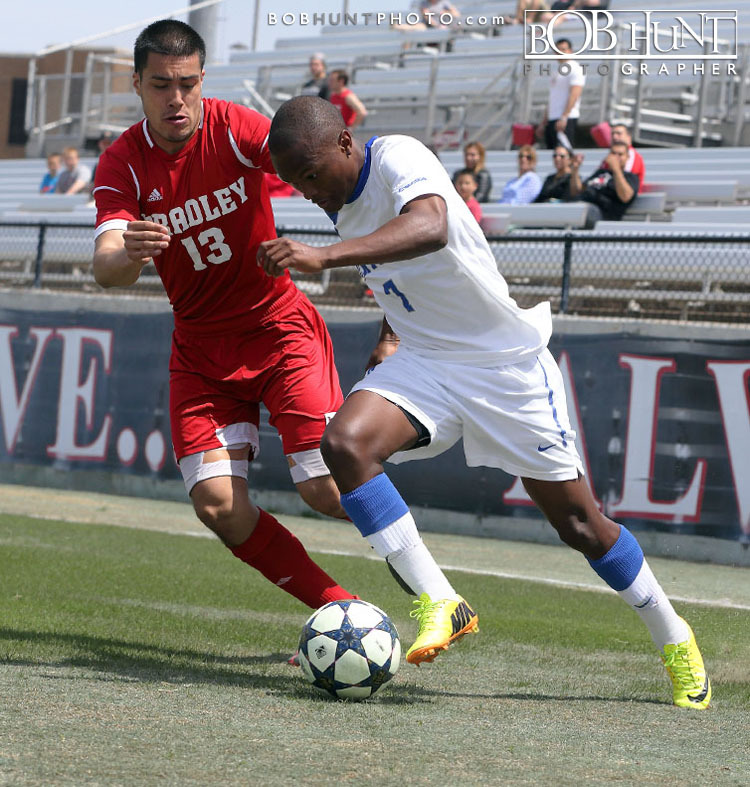 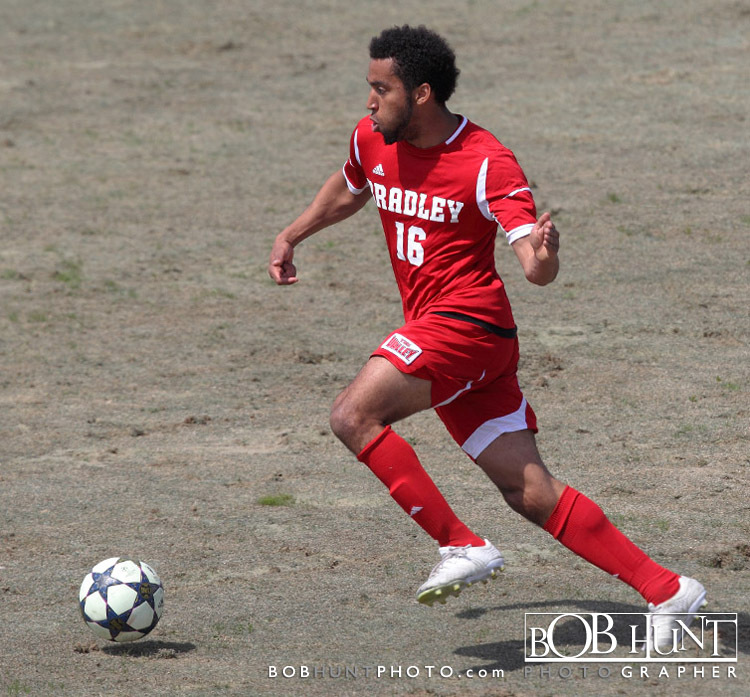 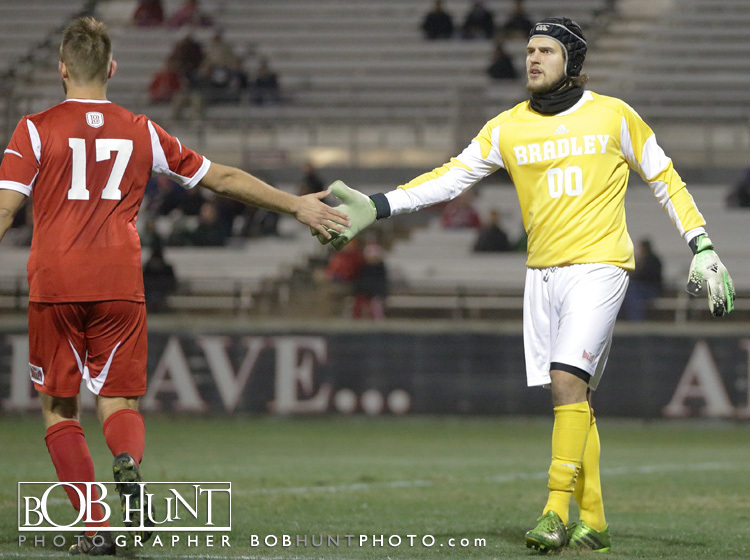 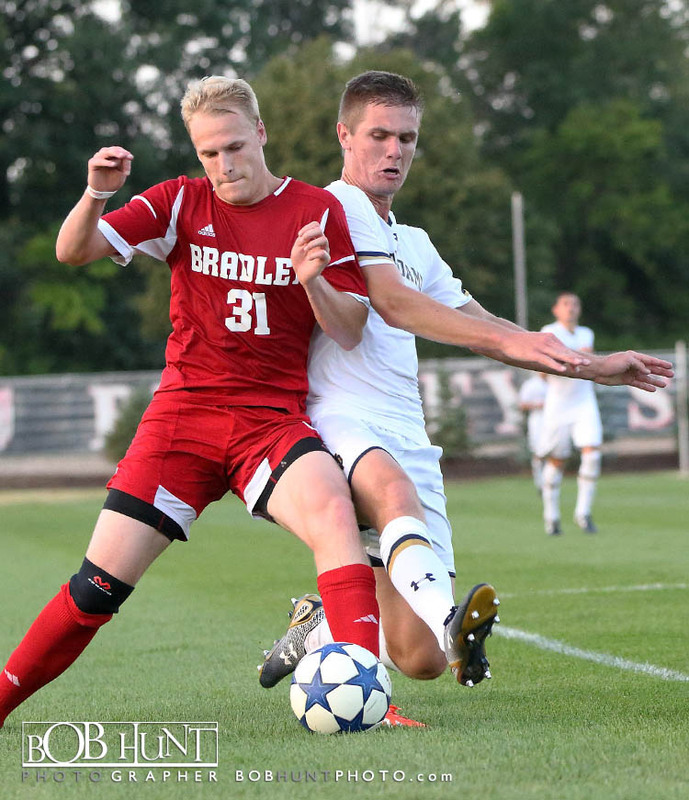 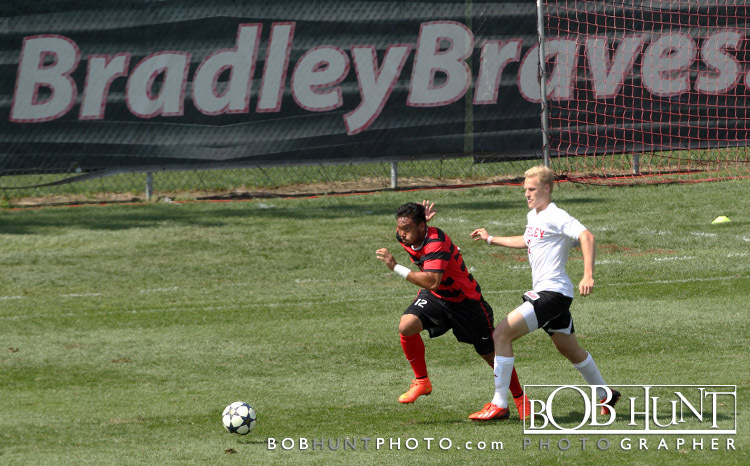 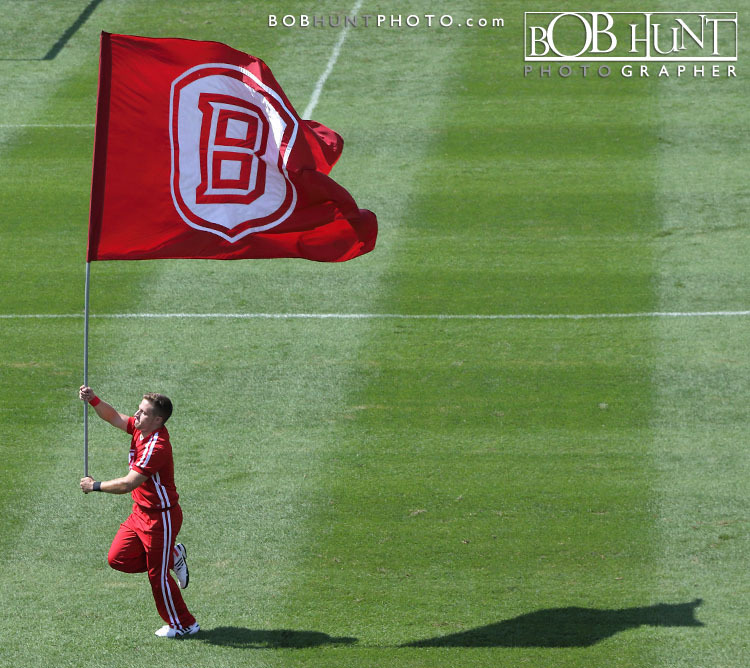 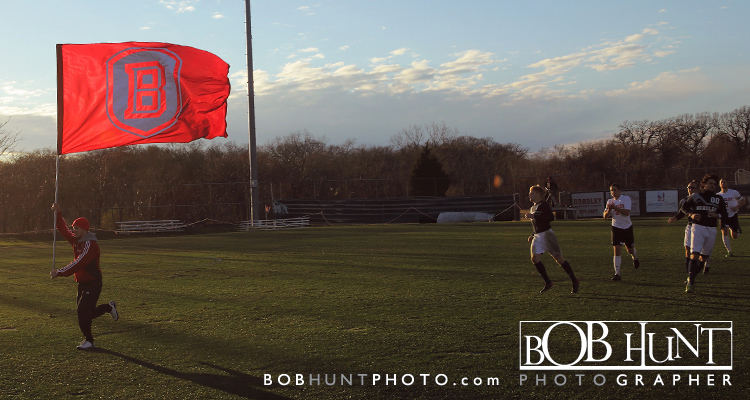 Bradley senior goalkeeper Brian Billings made four saves and got a little help from forward Christian Okeke, who cleared a header from Nick Marshall at the right post in the 69th minute, for his eighth shutout of the season and the Braves ninth clean sheet of the year.